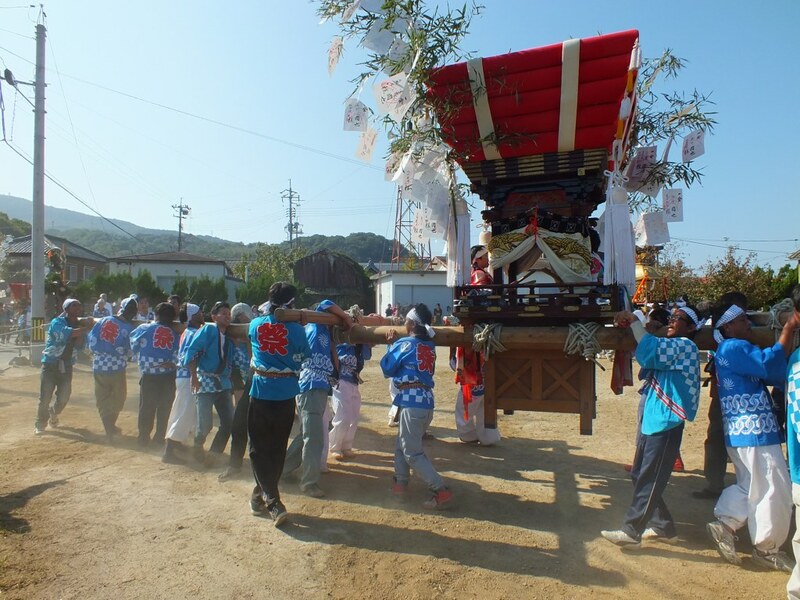 And with it, the various Fall matsuri, which are numerous in the Setouchi area, probably because they’re harvest matsuri, and we’re still in a quite rural part of Japan. 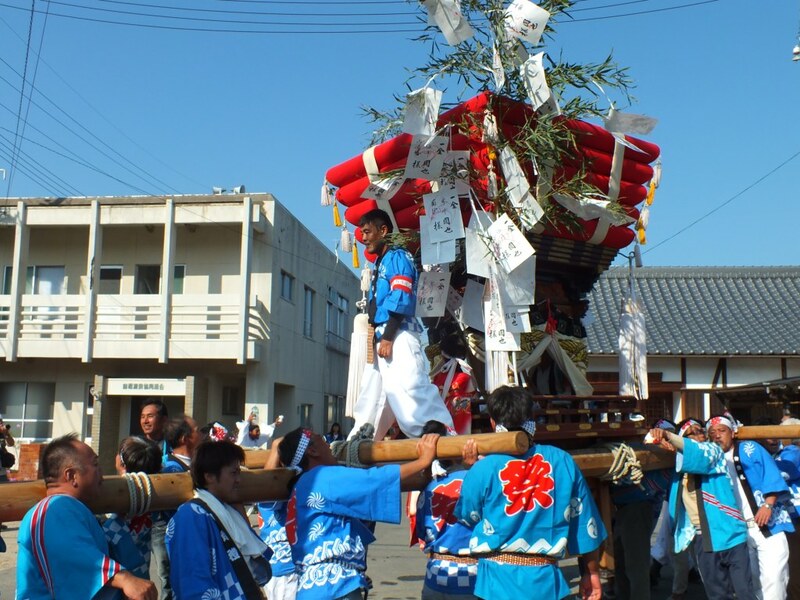 Among them, one of my favorite matsuri. 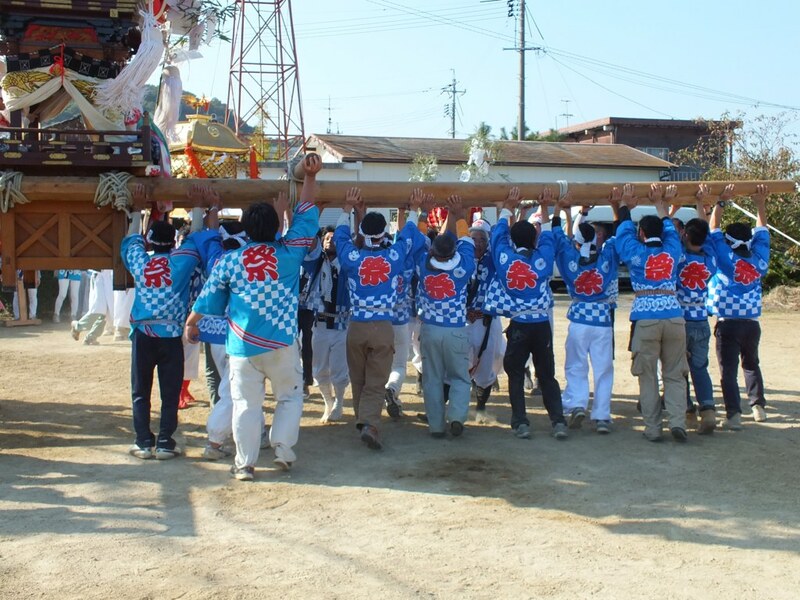 I try to never miss it although I missed it last year for the first time since I’ve moved to Japan, but you can be sure I’ll be there this year. 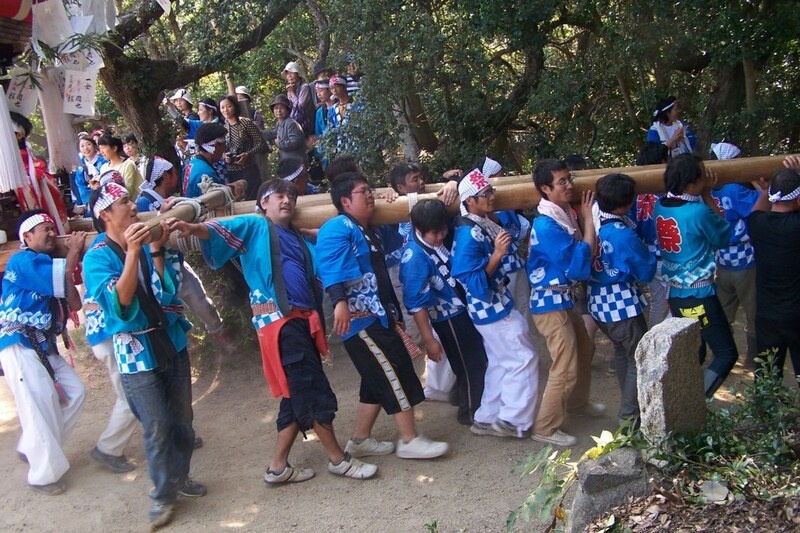 It is part of the Shodoshima Autumn Festival, which takes place from October 11th to October 21st and that encompasses eight matsuri in ten days, including some pretty big ones. 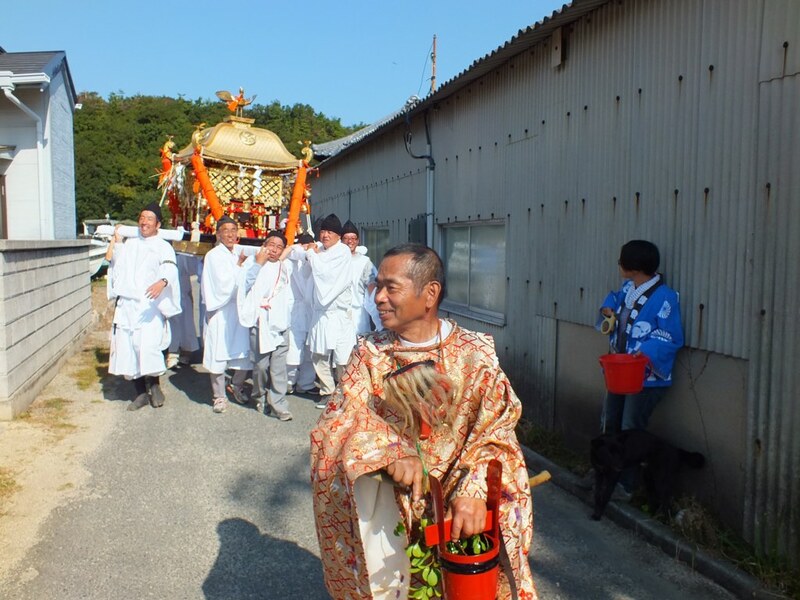 The one I’m going to tell you about today is not big, quite the contrary, and it’s the last one, taking place on October 21st each year. 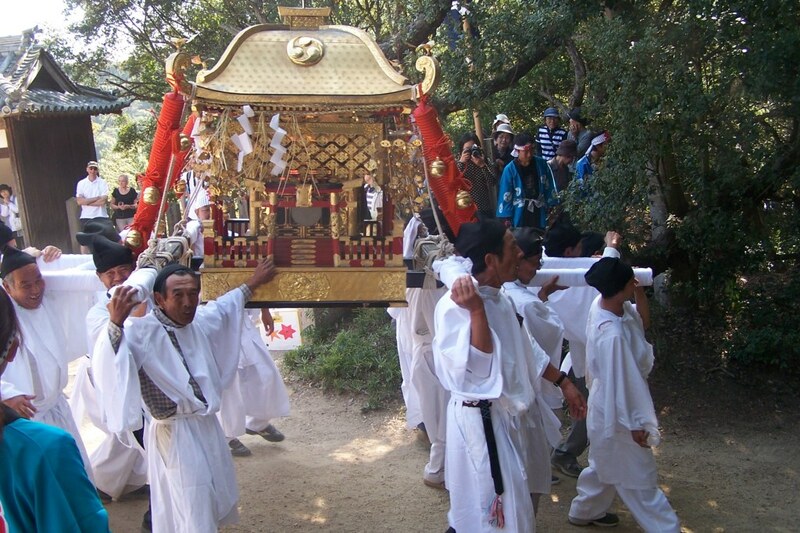 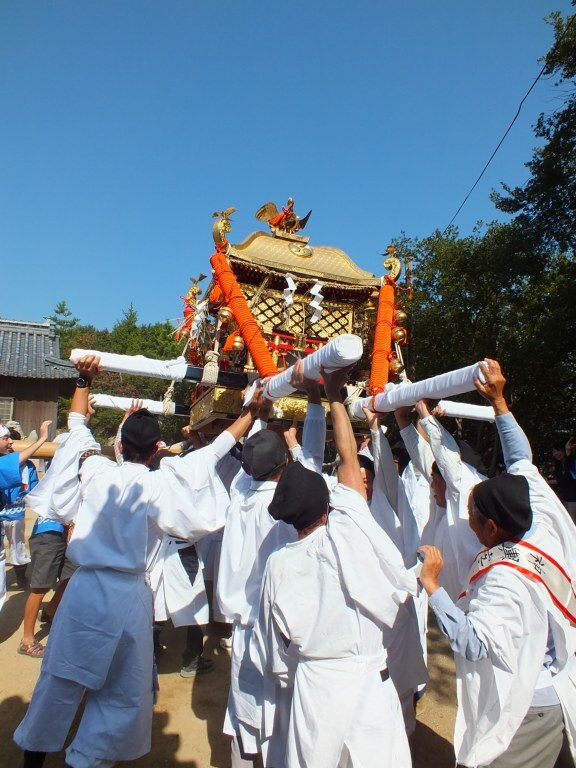 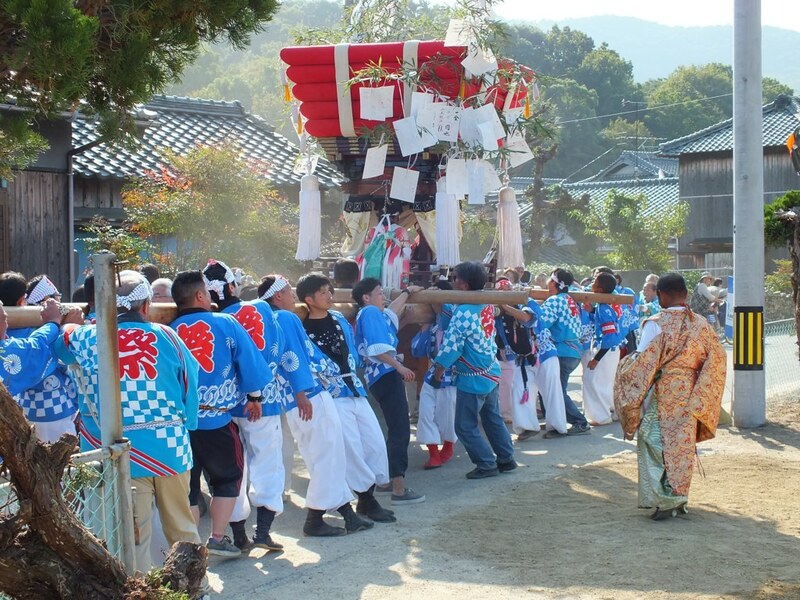 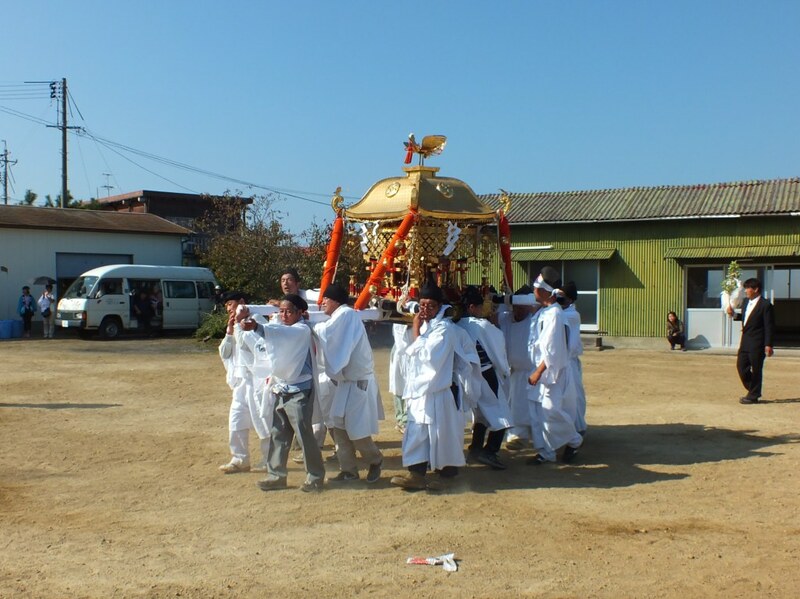 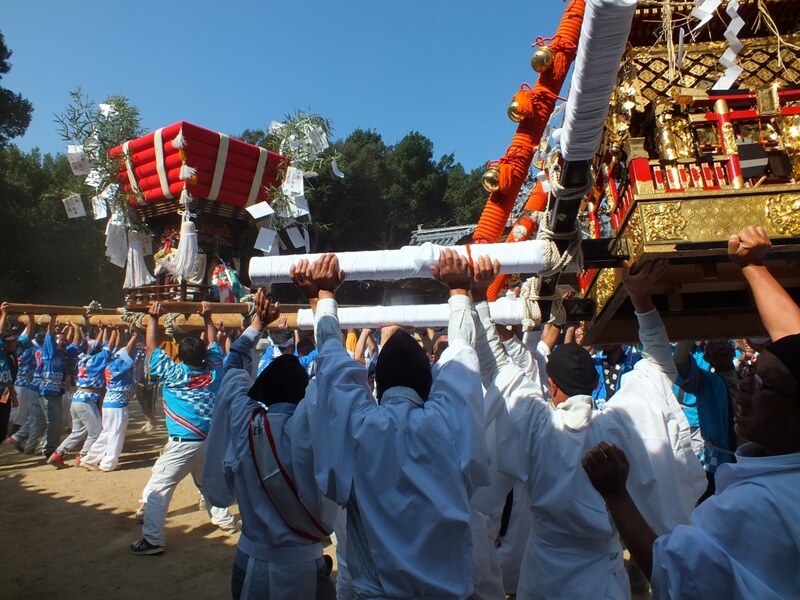 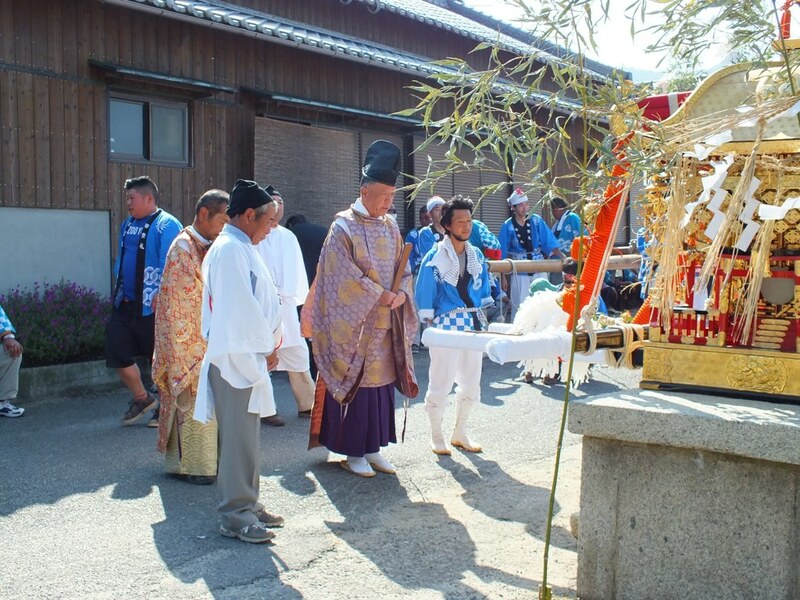 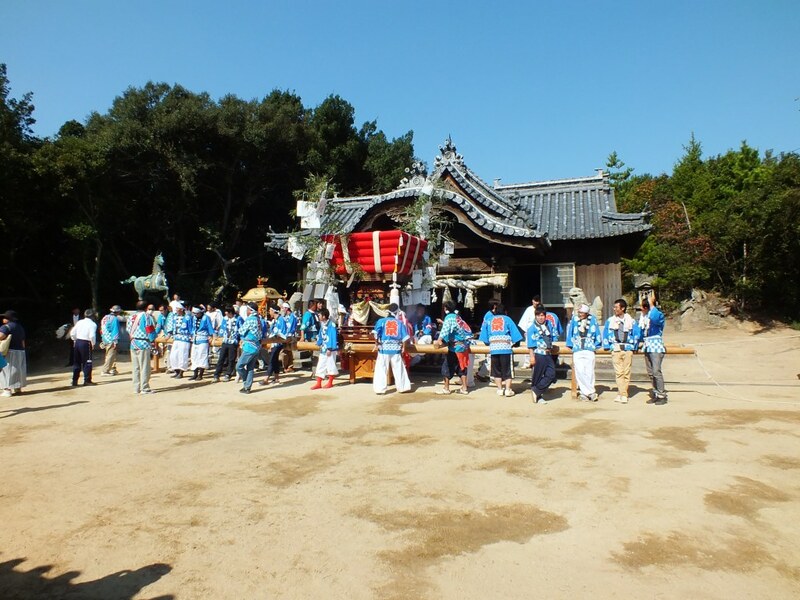 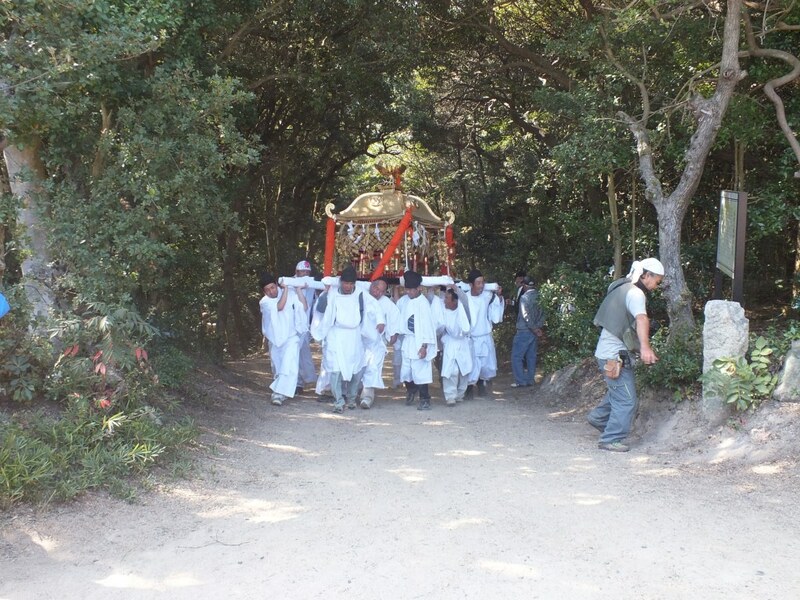 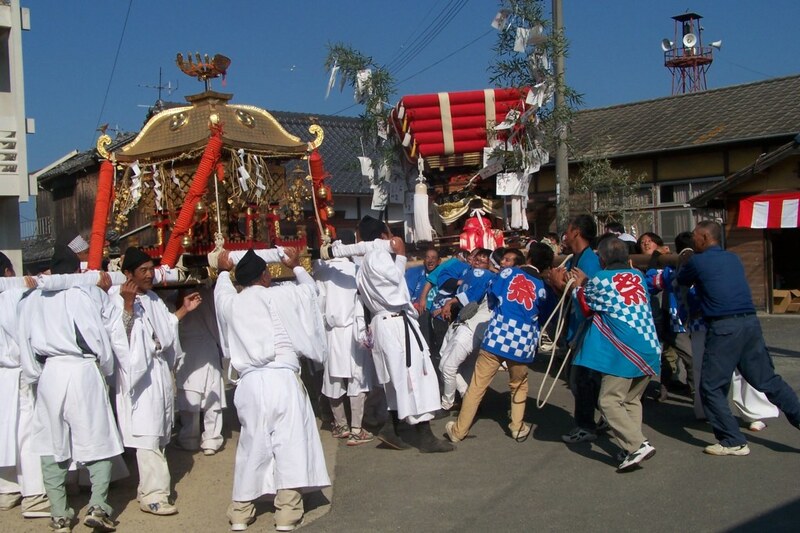 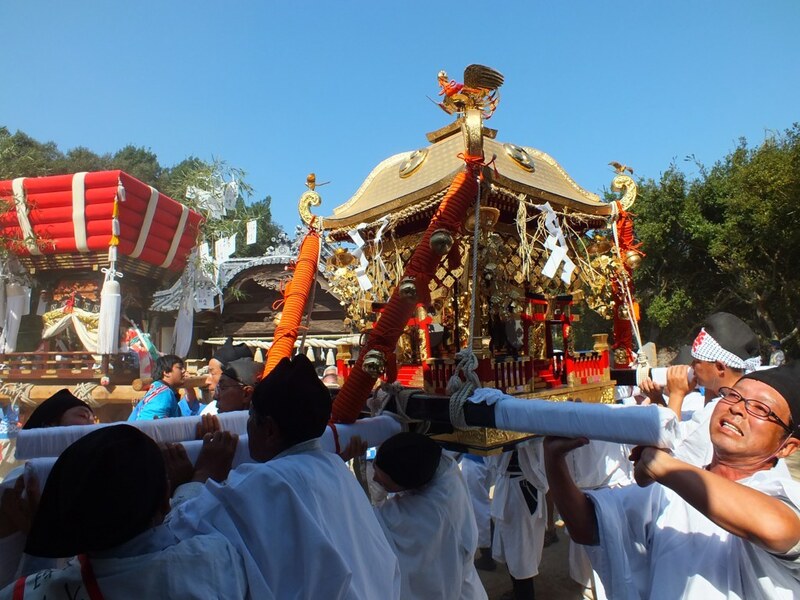 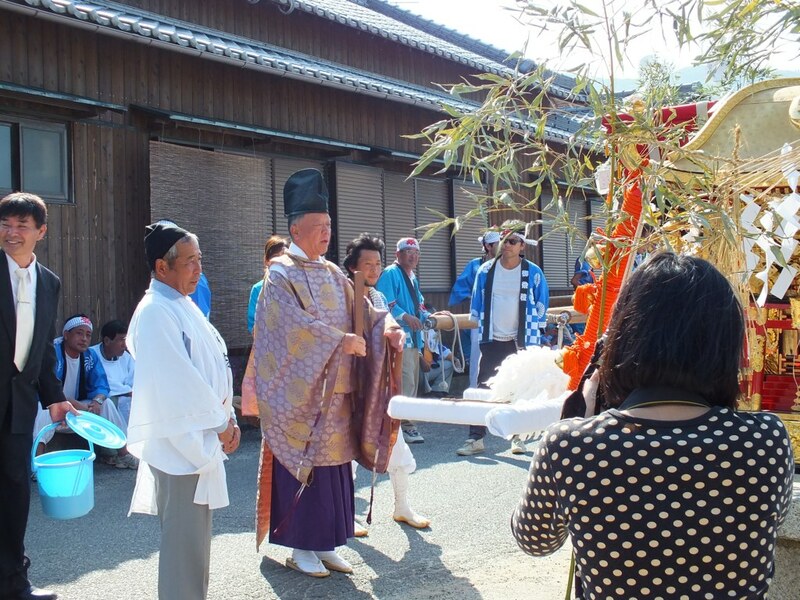 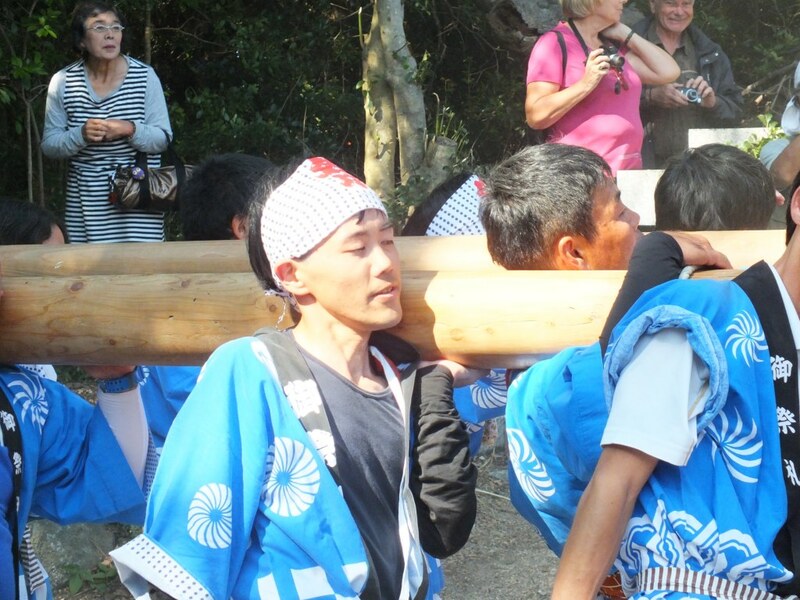 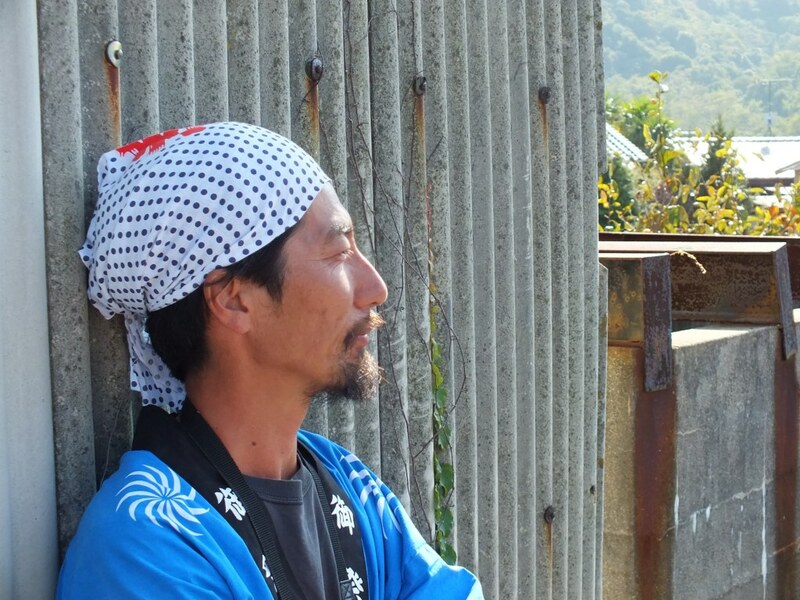 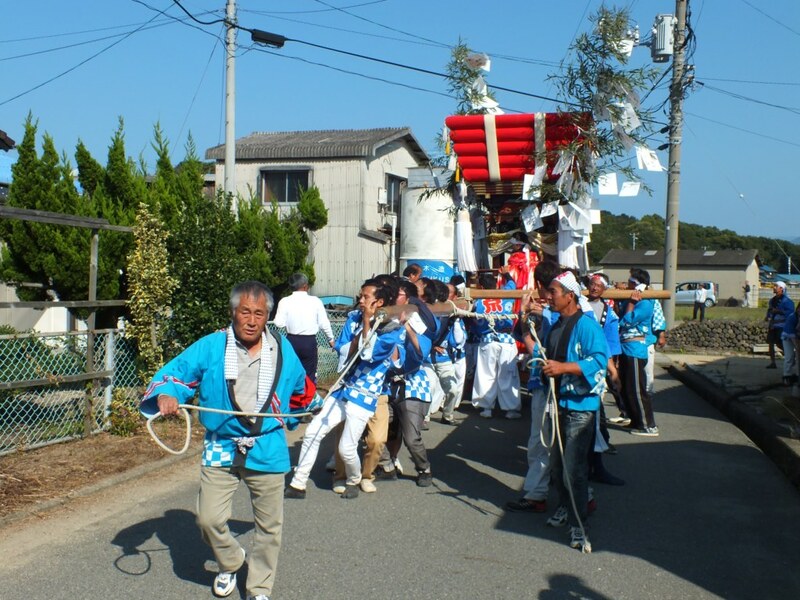 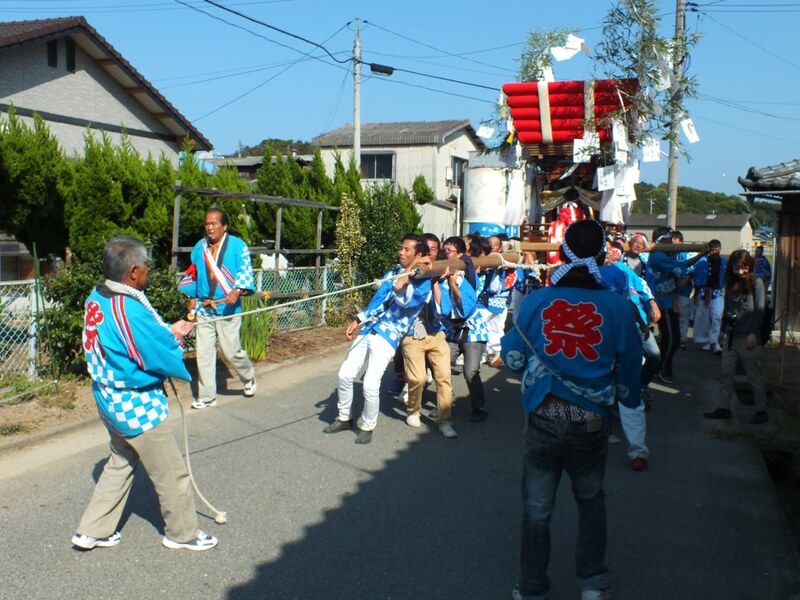 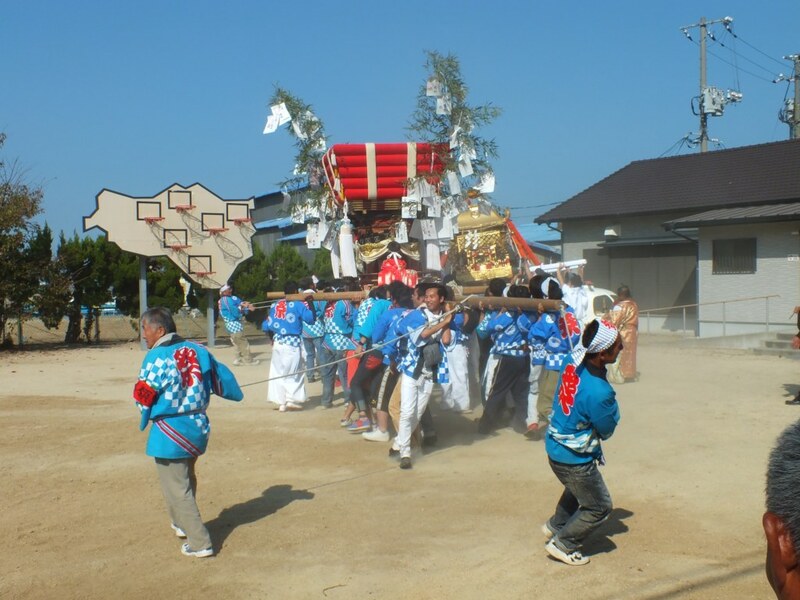 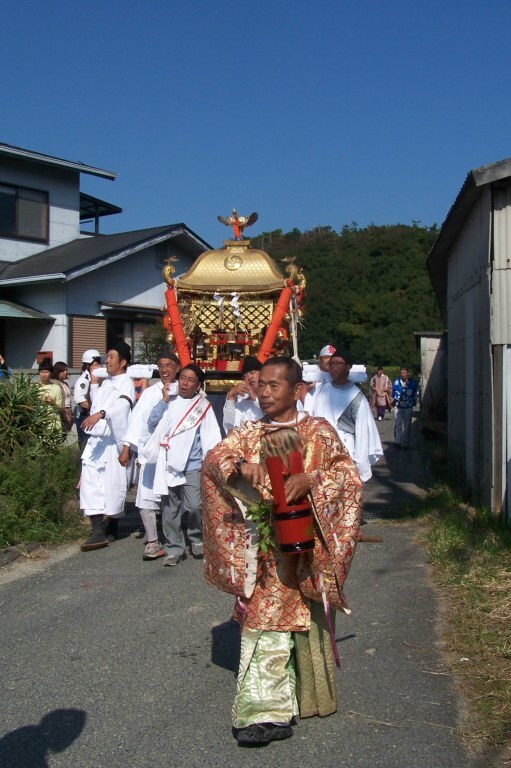 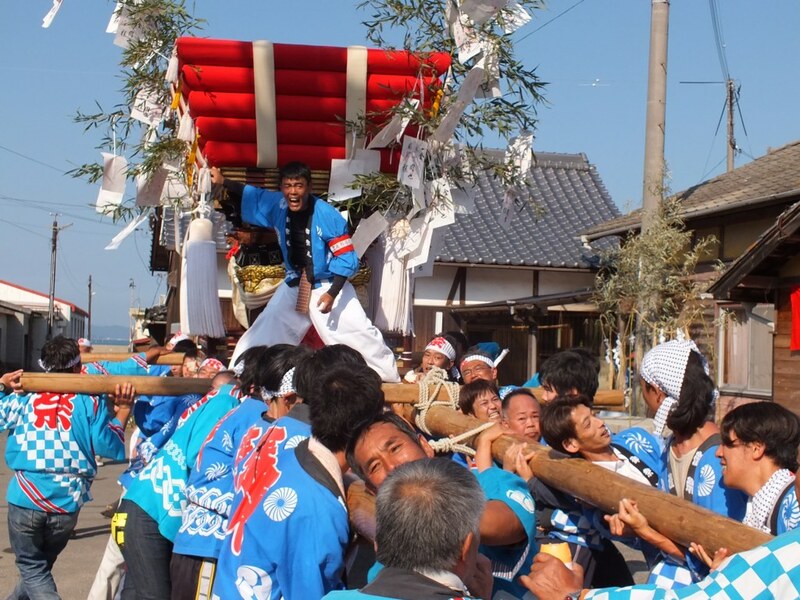 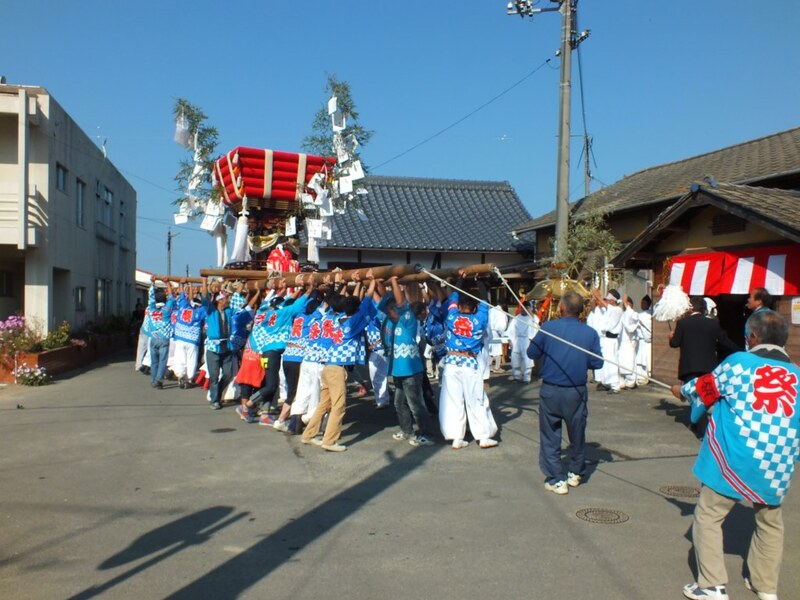 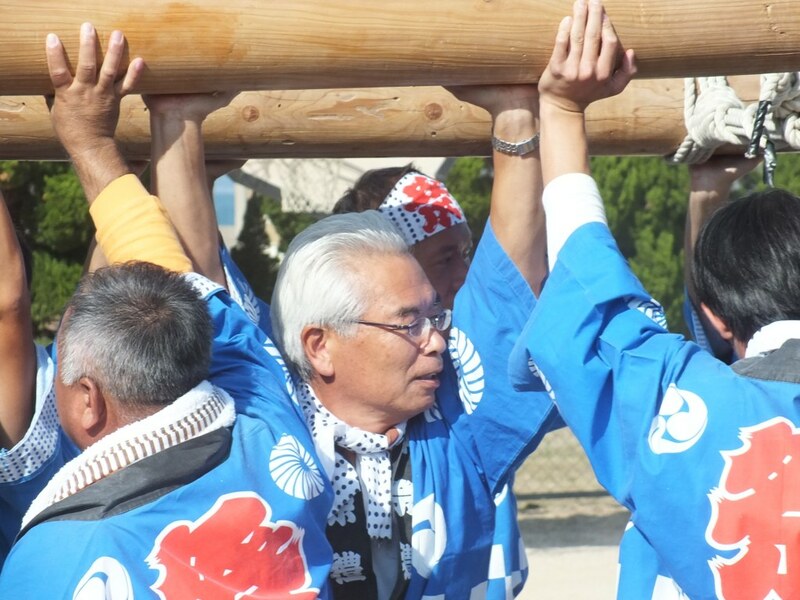 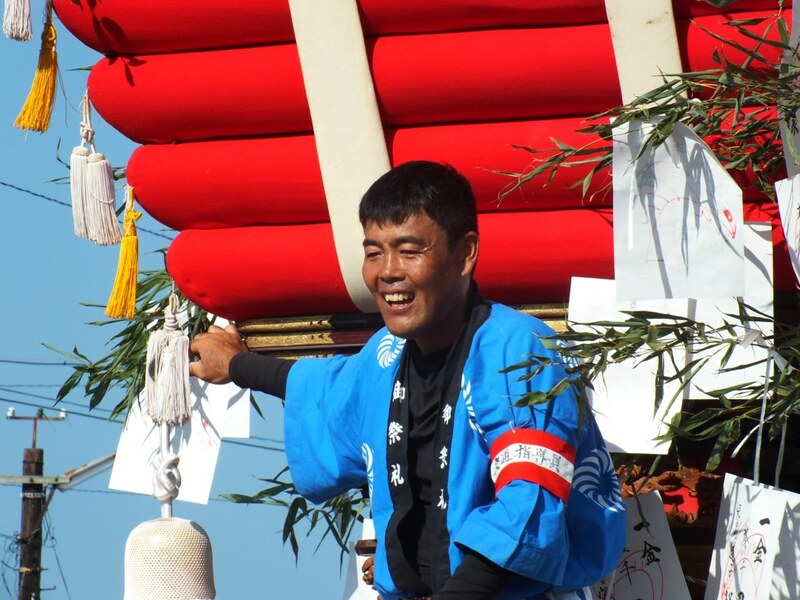 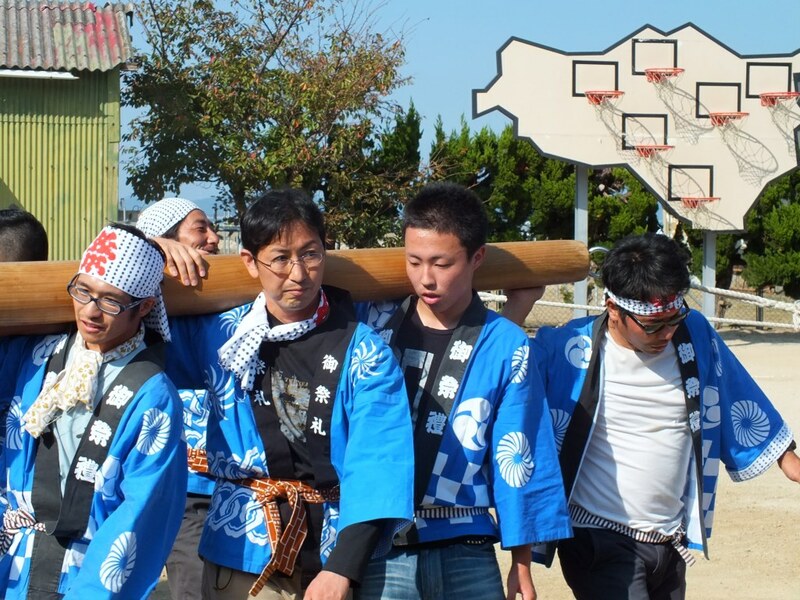 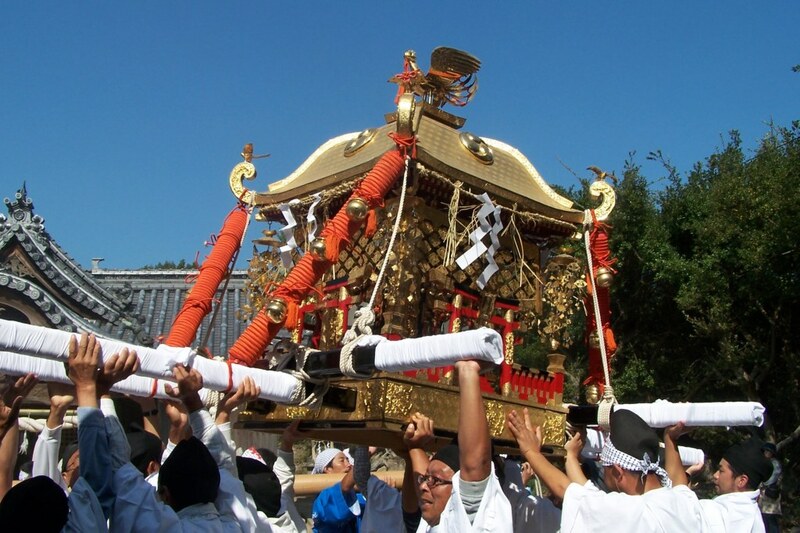 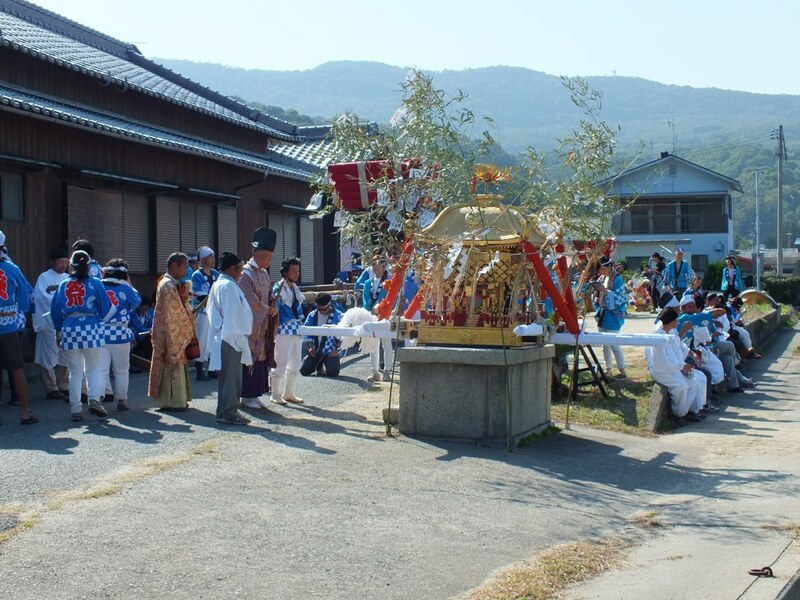 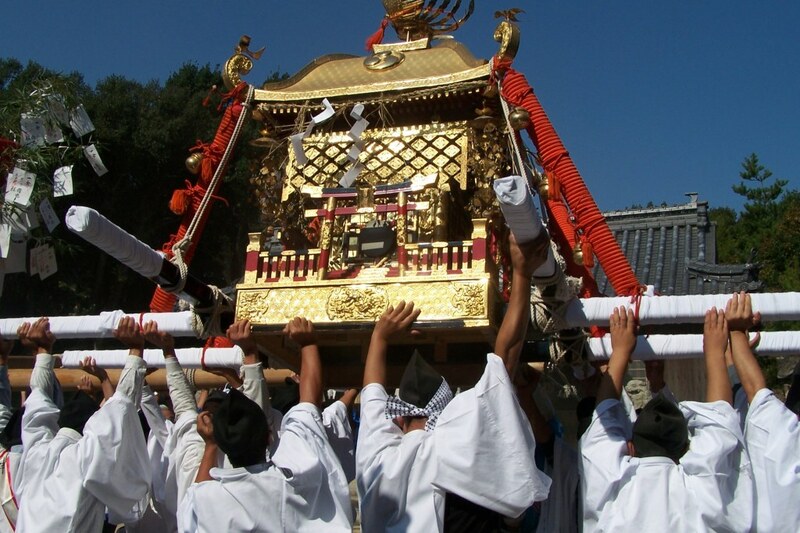 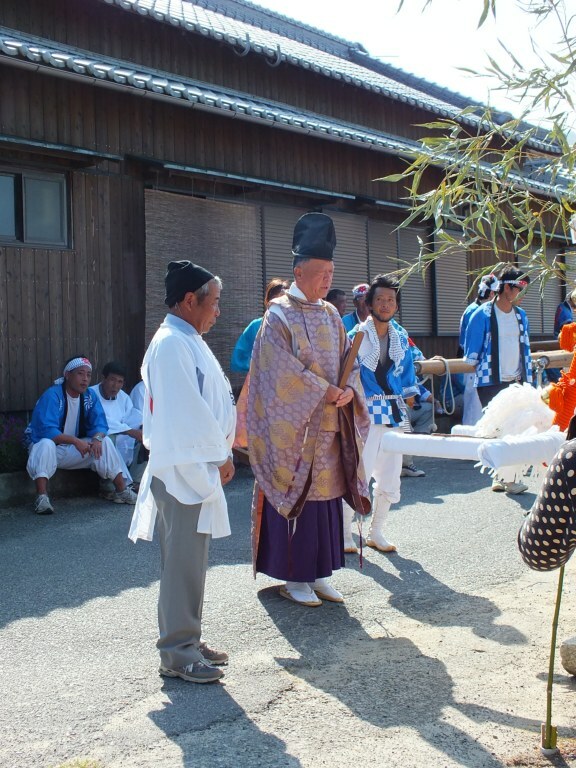 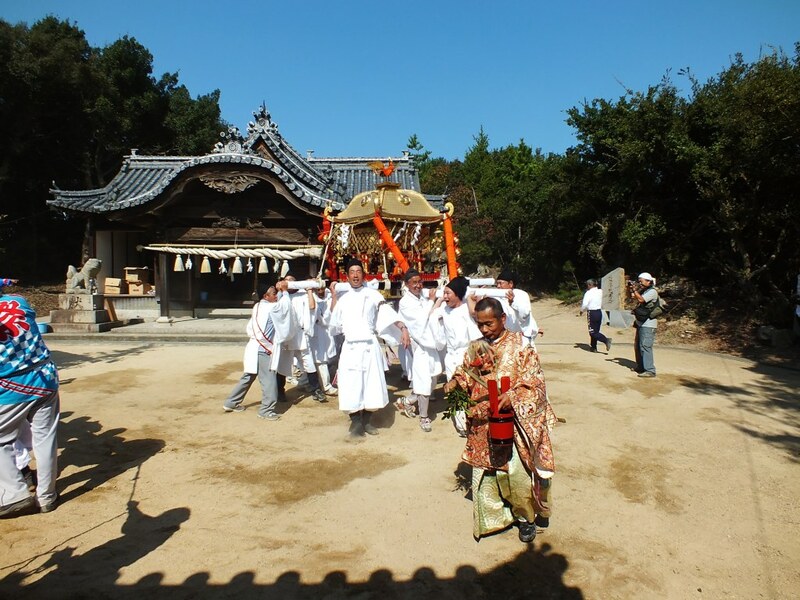 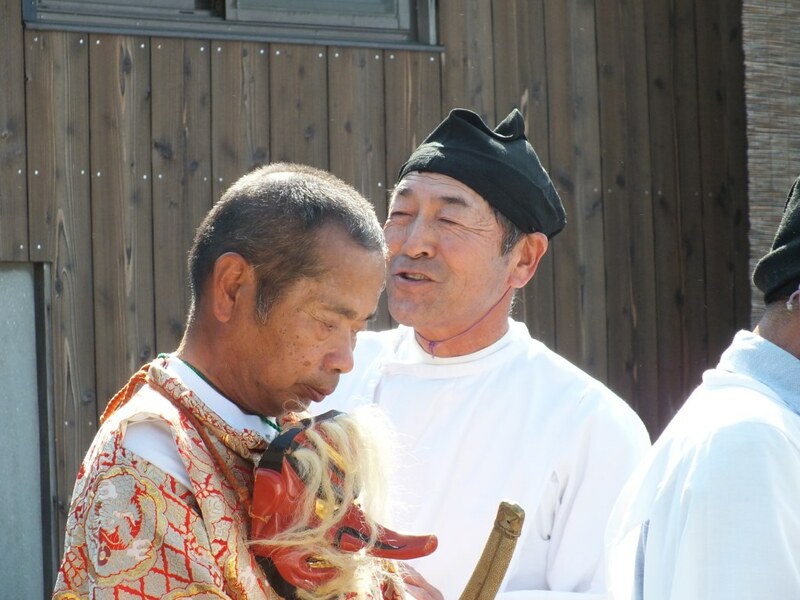 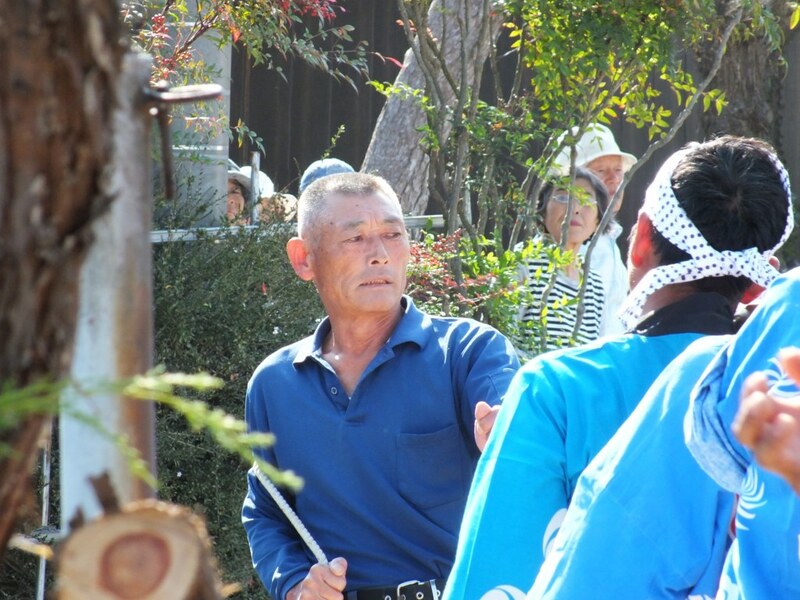 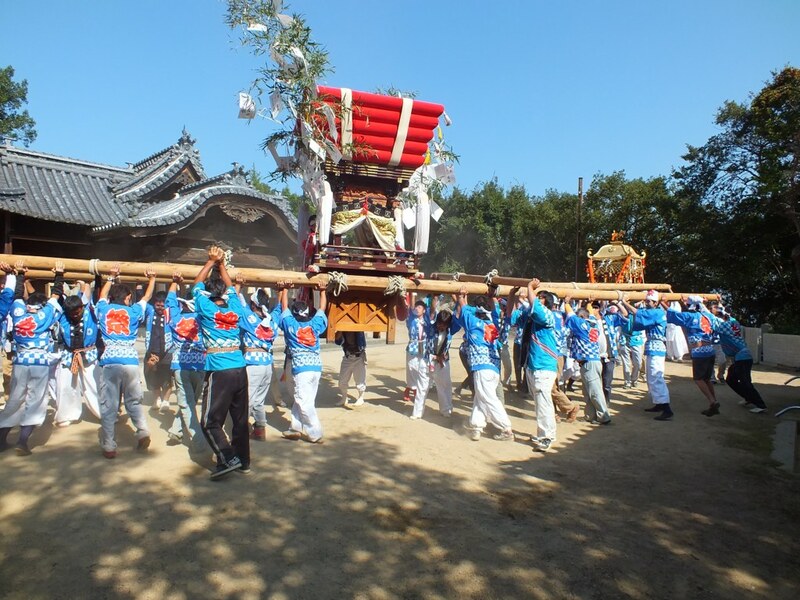 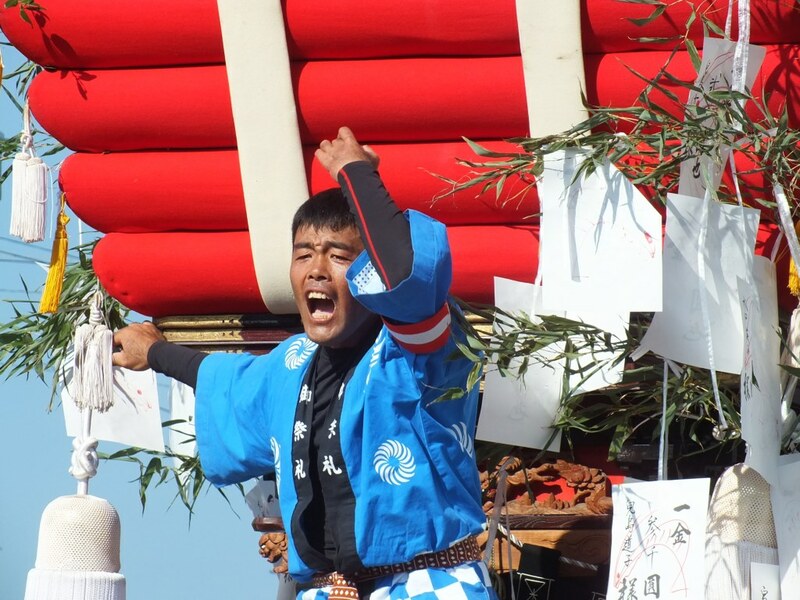 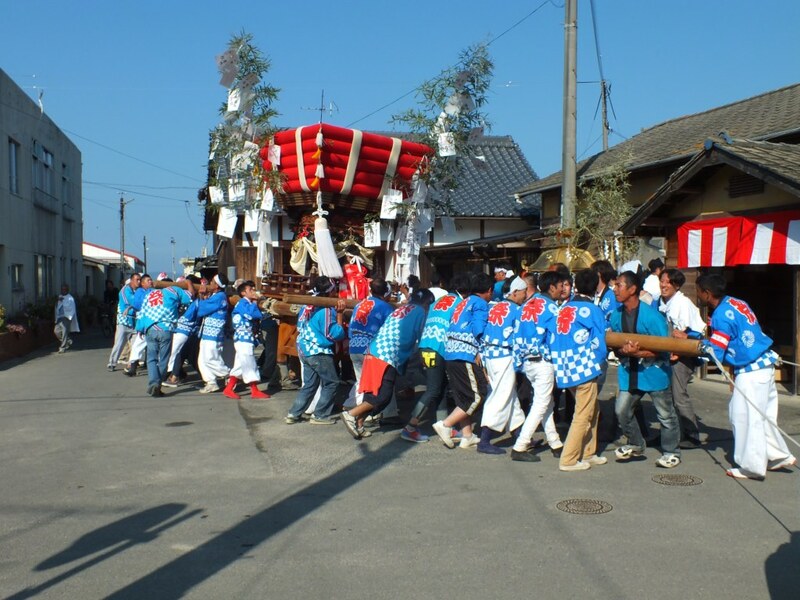 It’s one of the two matsuri taking place on Teshima, namely the Karato Matsuri. 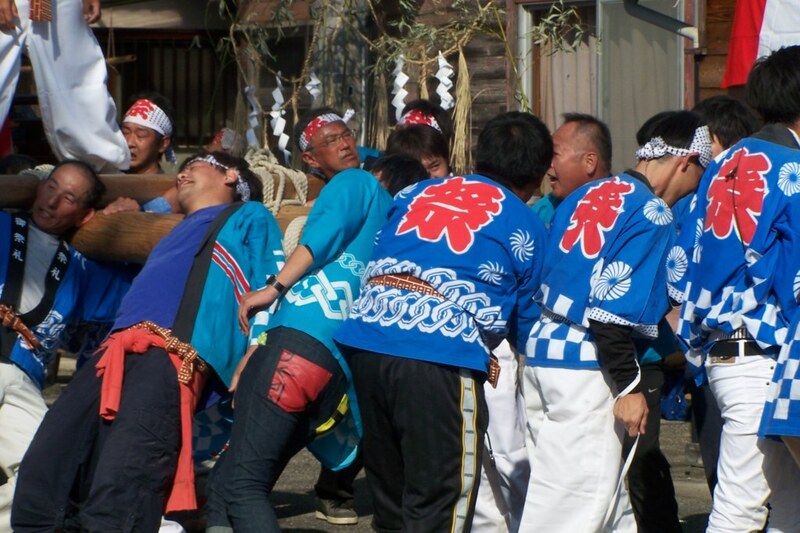 I’ve mentioned it and showed it to you before. 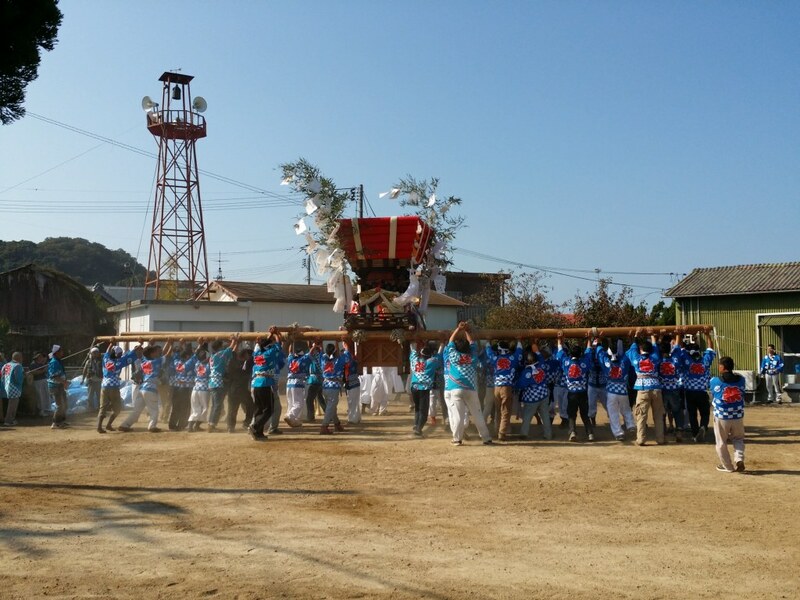 You can read the previous posts if you want, or at least look at the pictures and watch the videos. 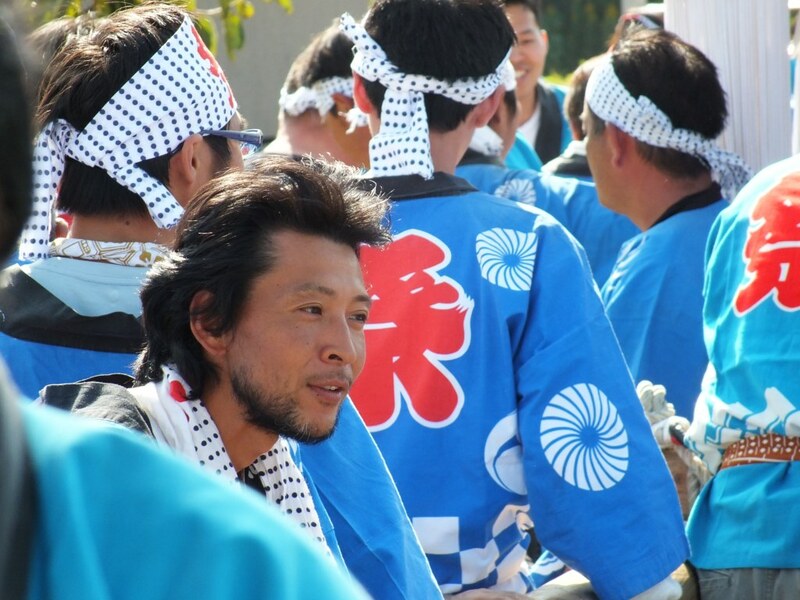 The first time I attended the matsuri in 2010 (part one and part two) and something quite special happened to me. 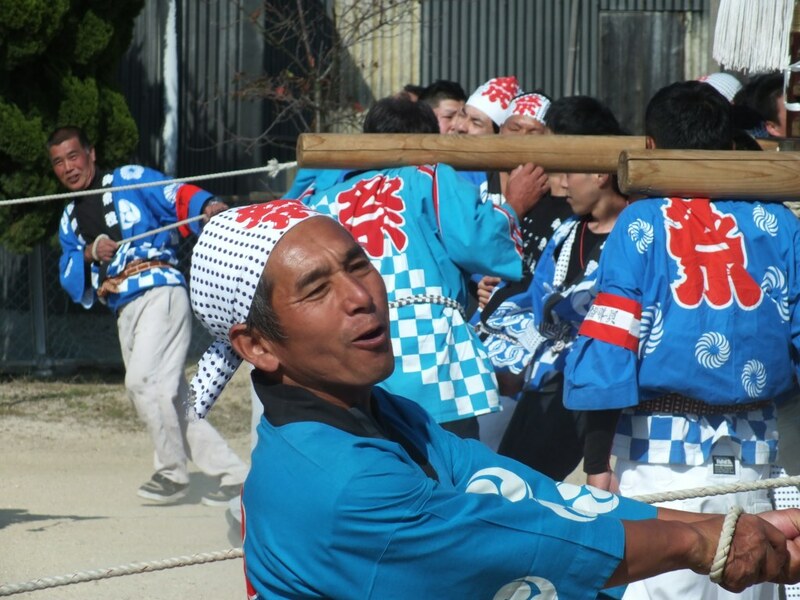 I was in France for the 2011 matsuri (packing my bags and preparing for my moving to Japan). 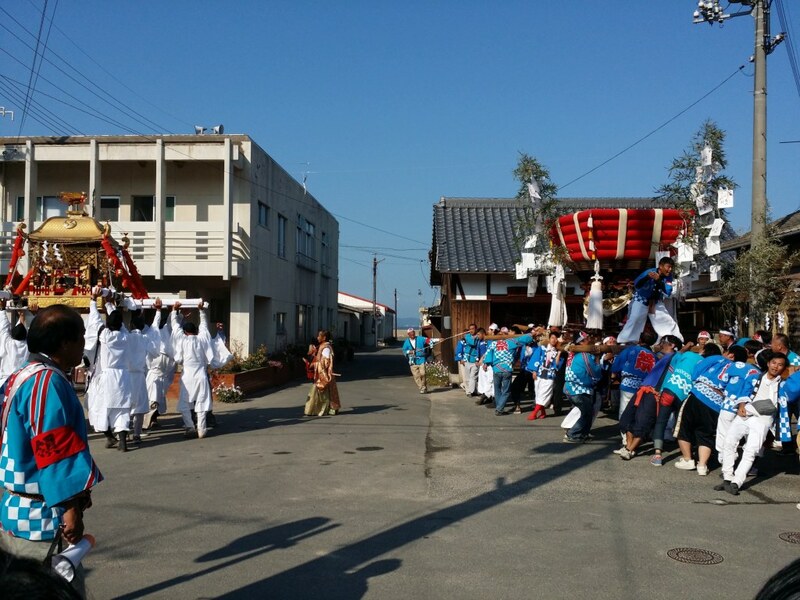 The 2013 edition of the Kataro matsuri. 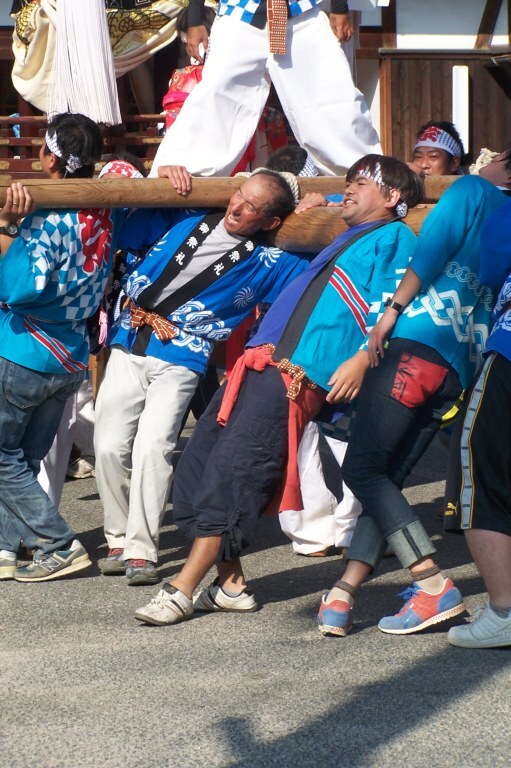 I realize that I never posted about the 2014 matsuri, maybe because a pretty freaky accident happened to one participant. 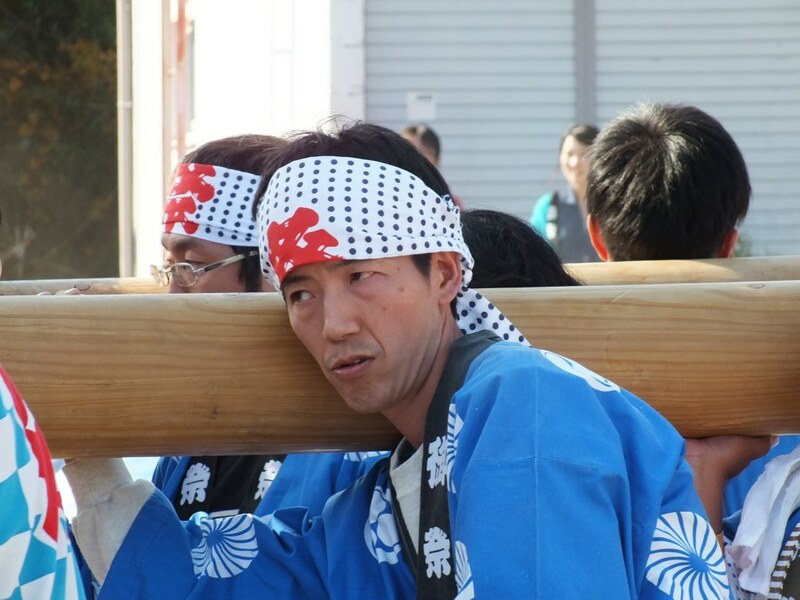 And here are mostly pictures of the matsuri in 2015. 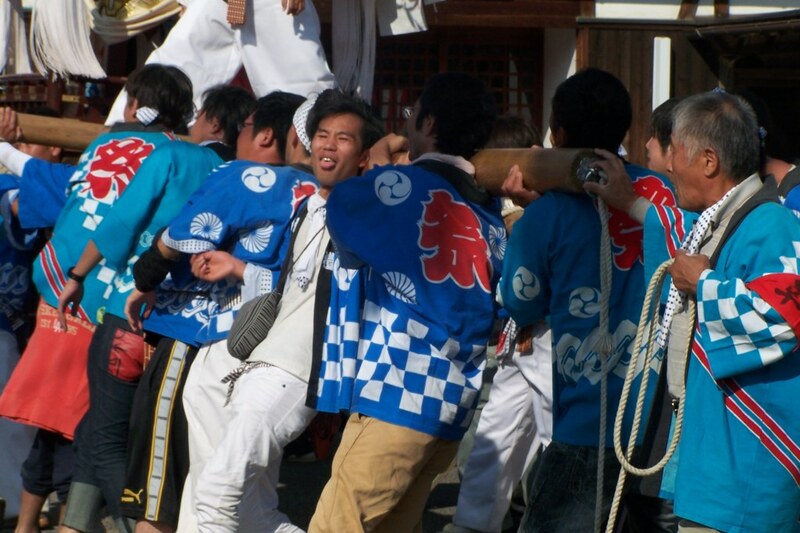 If you look closely you’ll see some familiar faces. 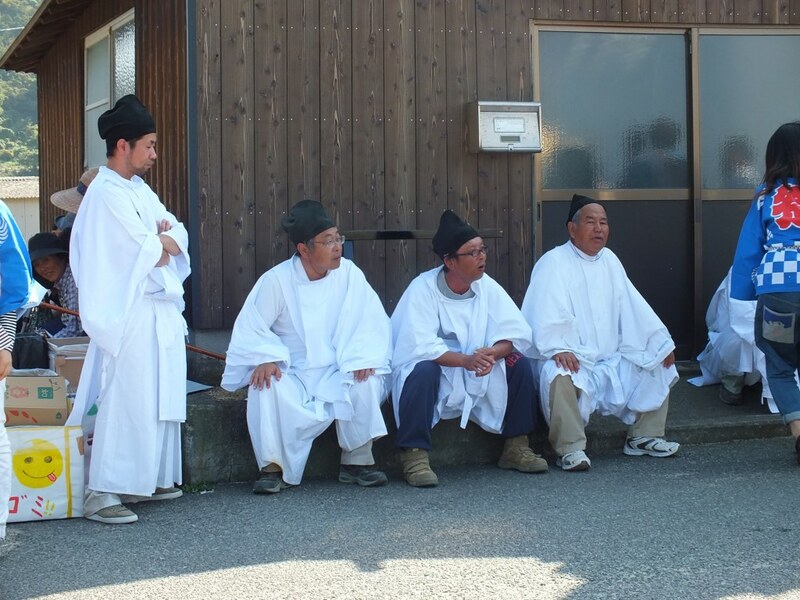 It’s funny how I started recognizing some people (although I never see them when I go to Teshima on other days – well, some I have actually). 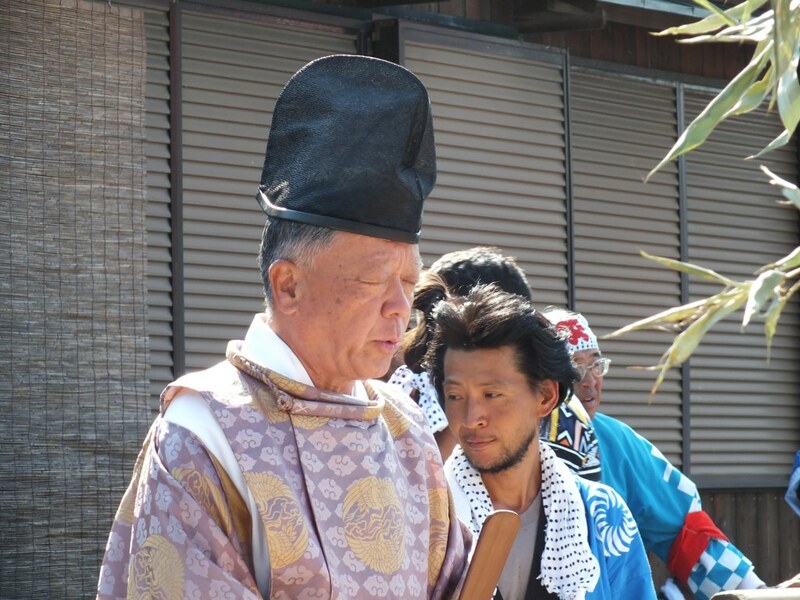 And some people recognize me too. 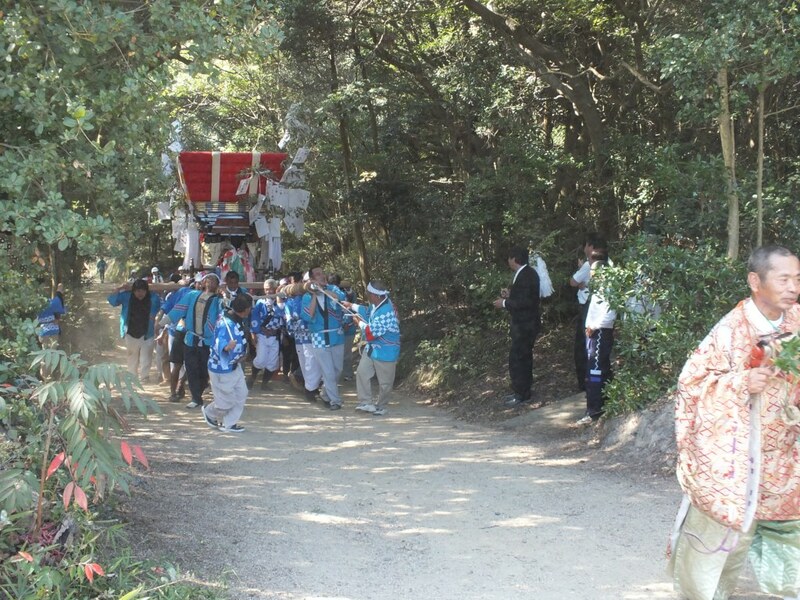 It’s probably becoming a known fact that this French guy is coming every year, even if I’m sure that for most people I’m just a random foreigner (Teshima becoming more and more famous for its art, foreigners are more and more numerous on the island, including some who attend the matsuri by chance, as they see something going on in the shrine on their way to Les Archives du Cœur). 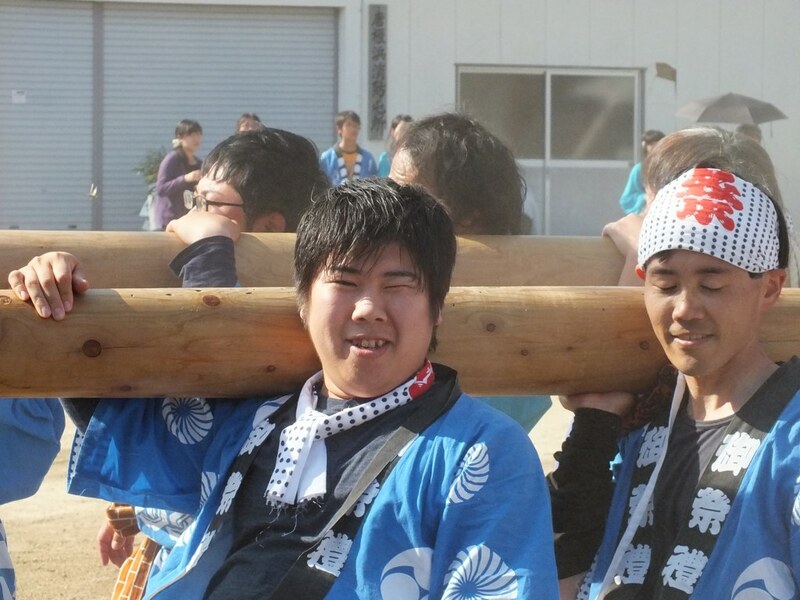 So basically, just enjoy the pictures, I don’t have much to add from the previous years. 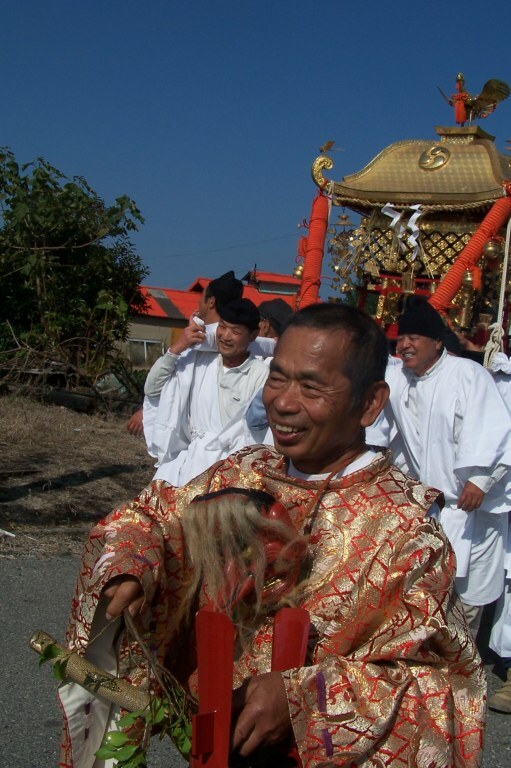 If you want to understand what’s going on, watch the videos in the posts from the previous years. 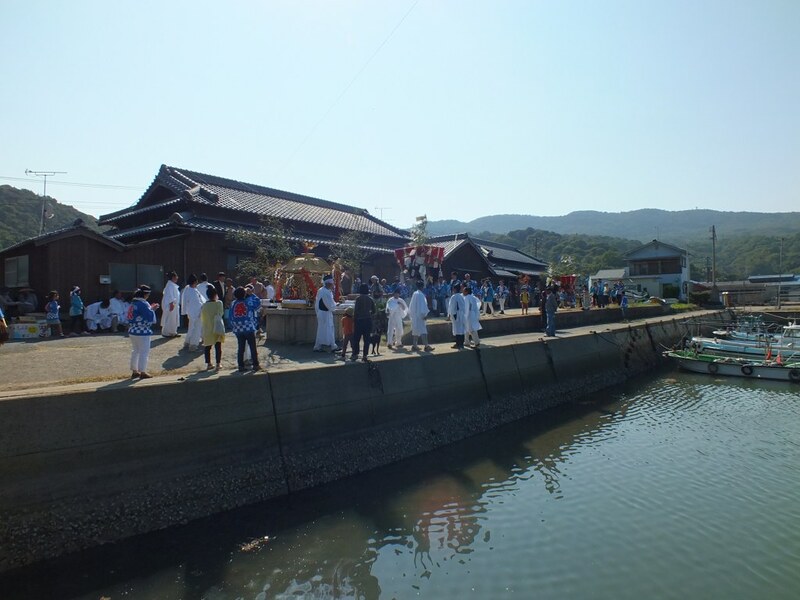 When all the silliness from the first part is over, we move near the fishing port. 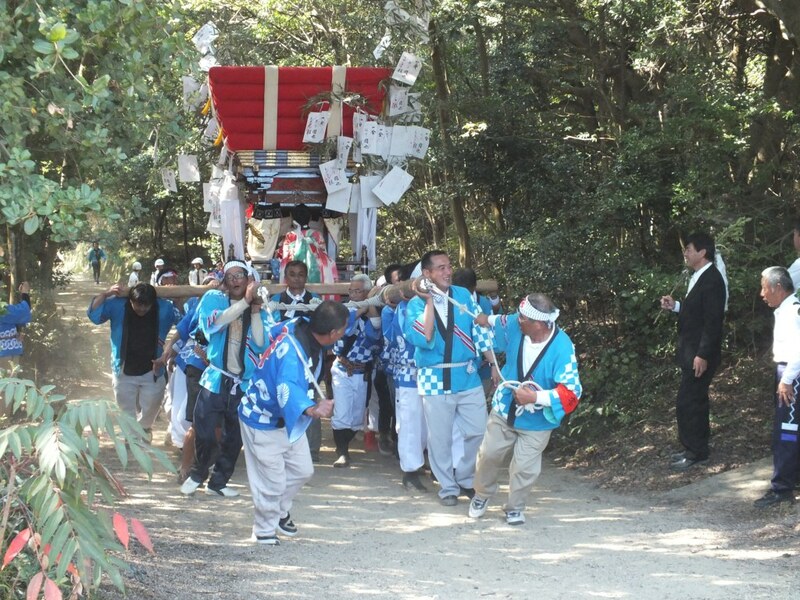 Yes, I know, a matsuri is something very official and “serious”. 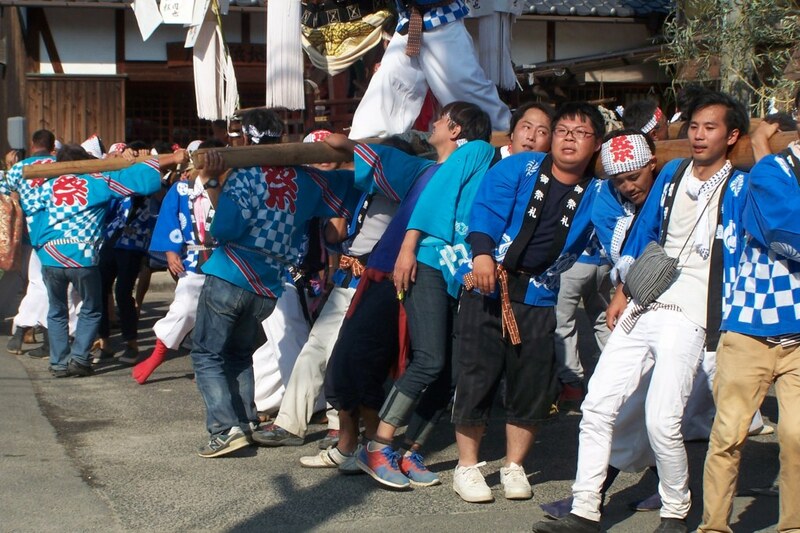 However, one of the reasons why I love this matsuri is that it’s quite funny in the way it unfolds with the taikodai and the mikoshi constantly chasing and challenging each other. 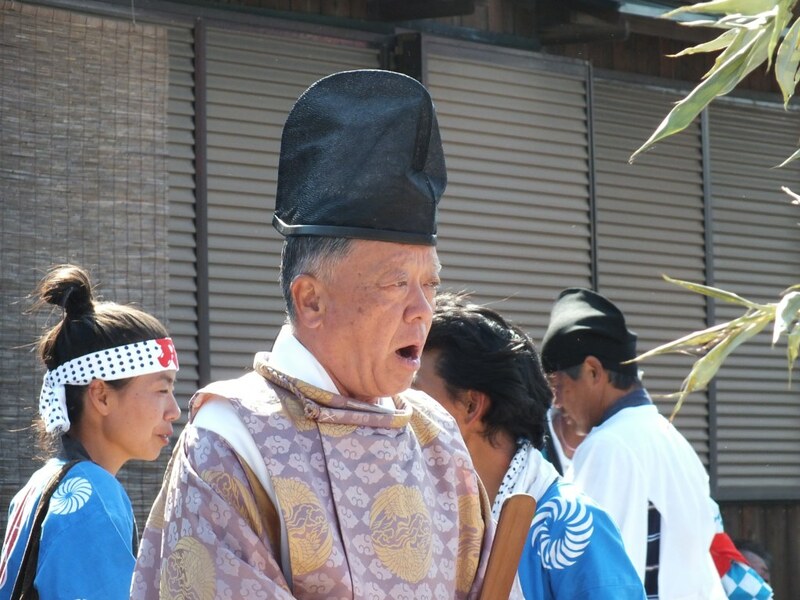 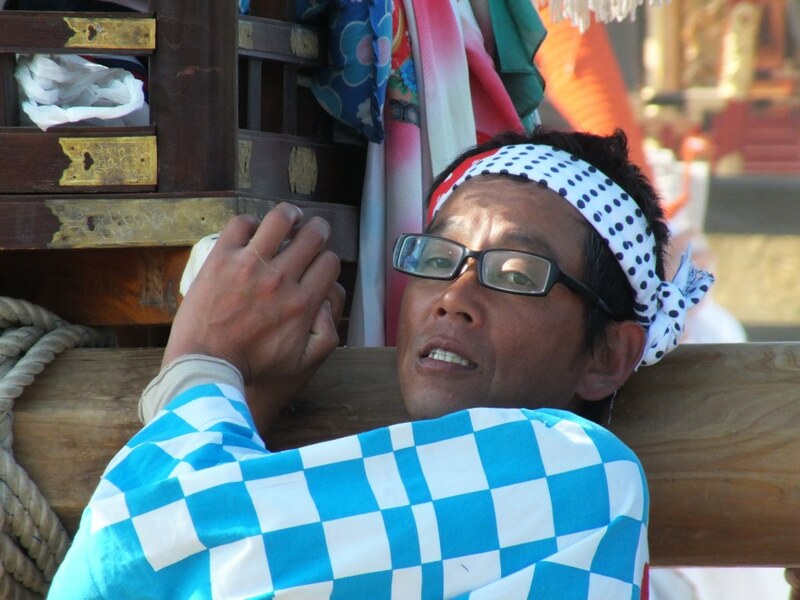 At the port, everyone gets some rest, and gets ready for the next part, while the religious part of the matsuri takes place (don’t forget that a matsuri remains a very elaborate religious ceremony at heart. 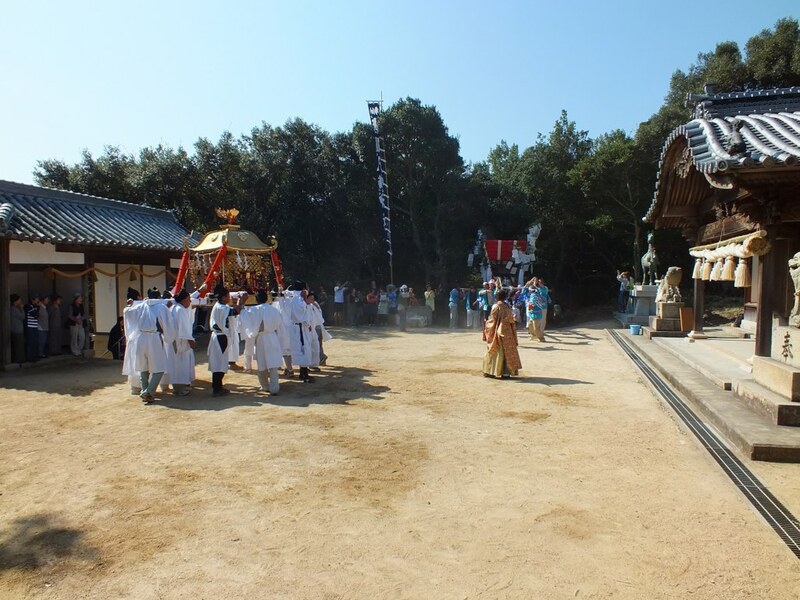 Then, it’s time to enter the village, and the next stop is the grounds near the port (where you can find the artwork No One Wins – Multibasket, if you’re familiar with Teshima). 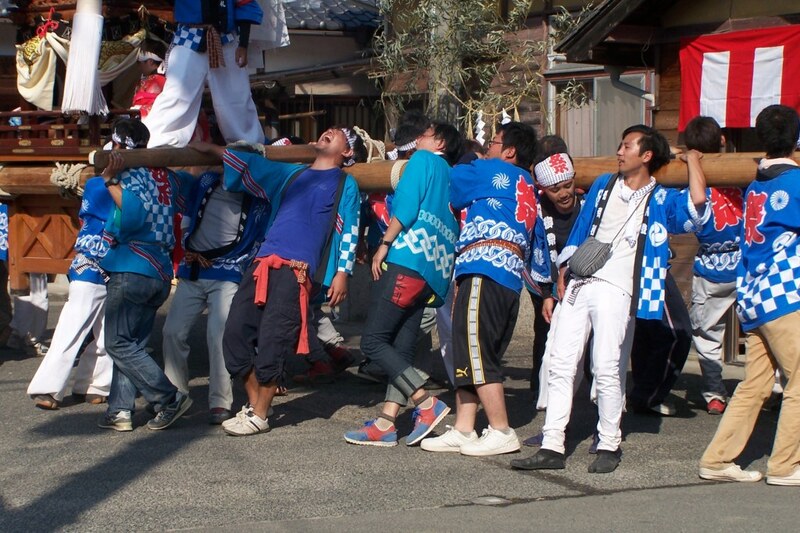 There, it’s time to give all they’ve got. 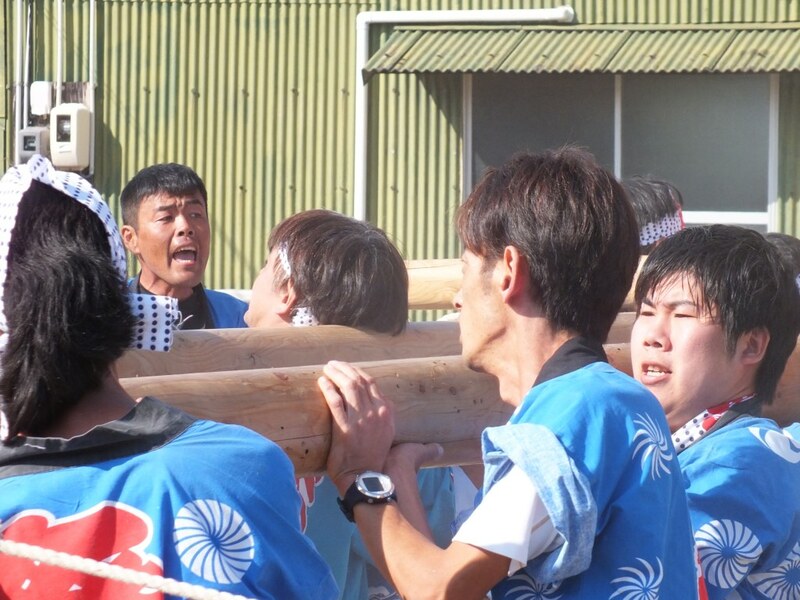 By this point, everyone is exhausted (they’re basically running on adrenaline and beer) by this is not over yet. 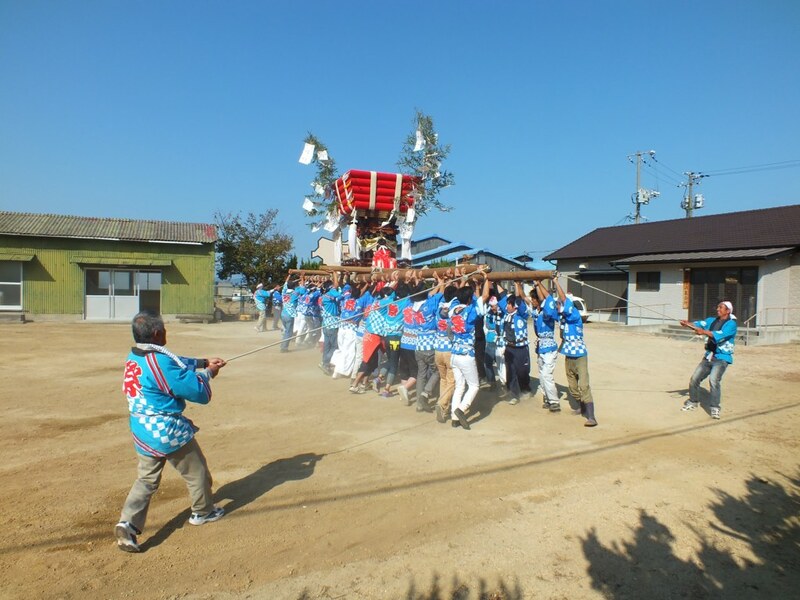 Then, everyone reaches the center of the village for the grand finale that will wipe the last remaining energy of everyone involved. 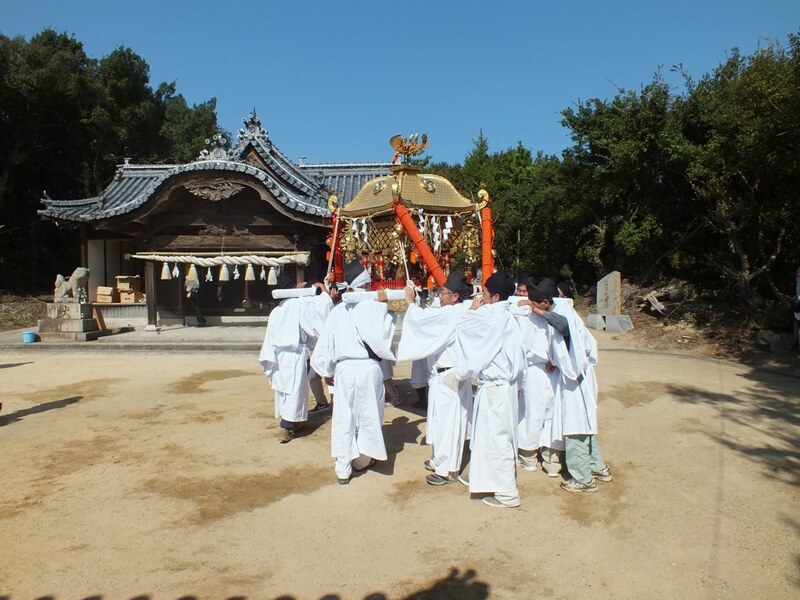 It’s not only masochism, the shrine’s kami (god) is Hachiman (one of the most common kami) and among other things, he’s the god of strength. 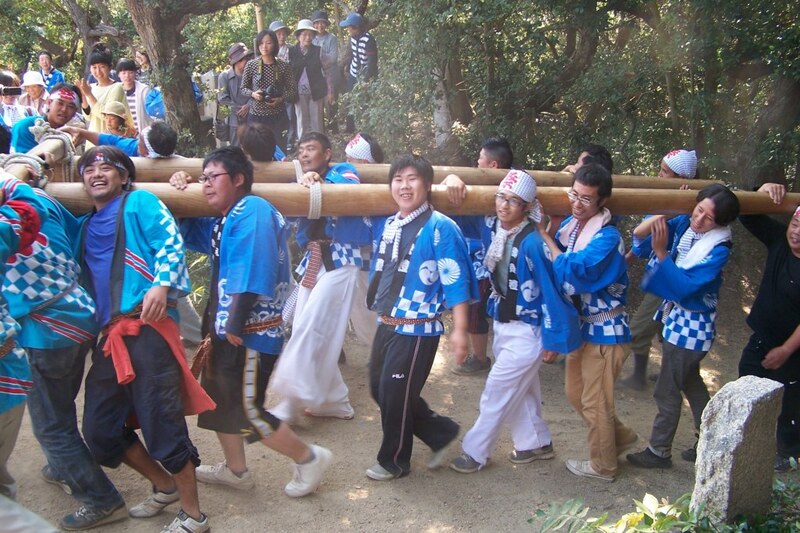 That’s why those matsuri are mostly shows of strength in many ways. 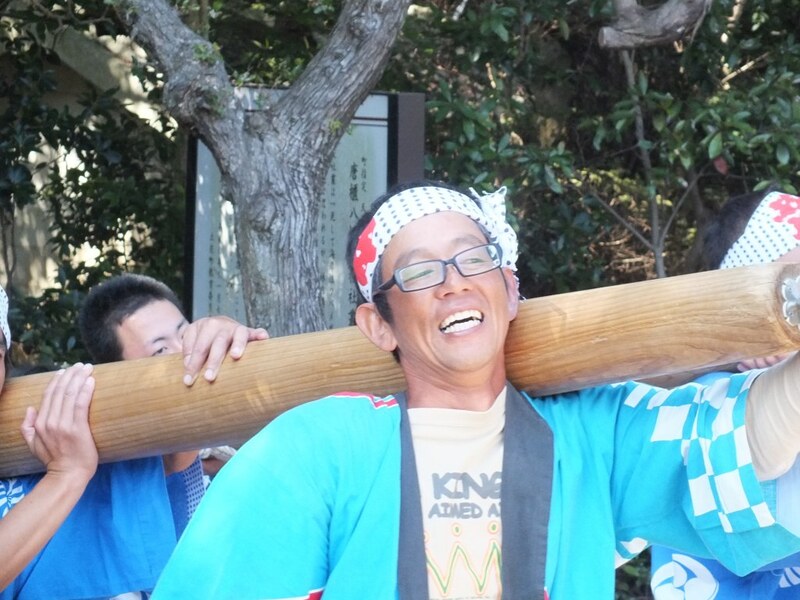 And then, just like that, it’s over. 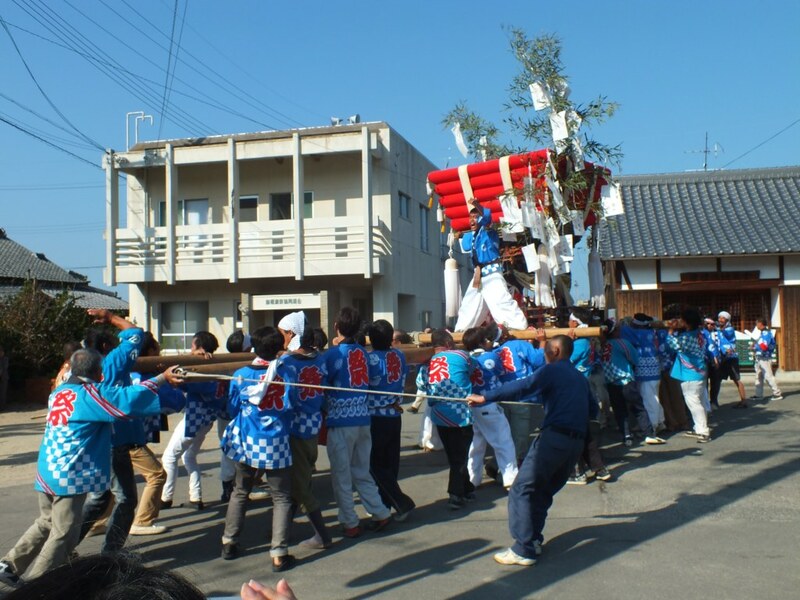 People congratulate and thank each other, the taikodai is dismantled until next year, and soon after everyone goes on about their day. 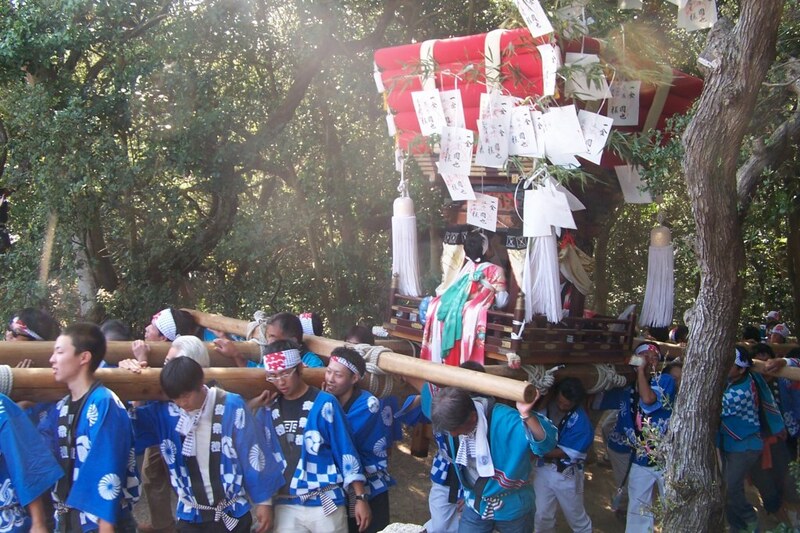 As I mentioned, it’s one of my favorite matsuri for two reasons. 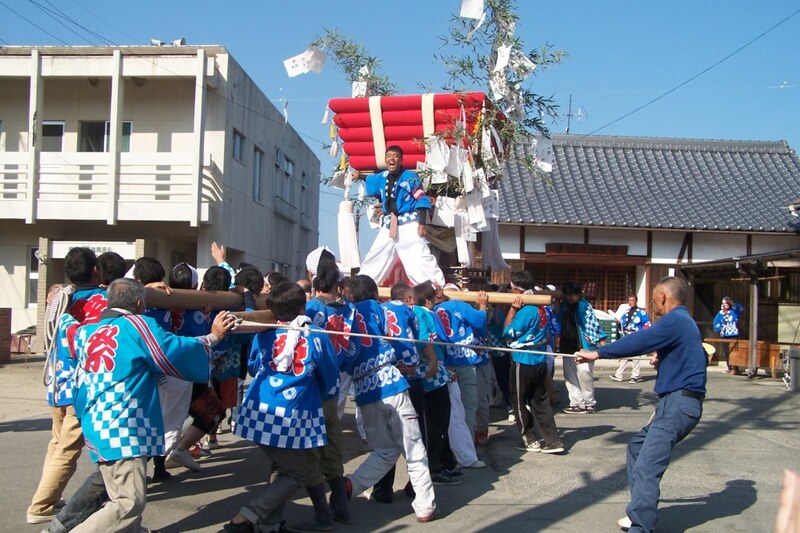 First it’s very fun, but more important, the people are the friendliest I know. 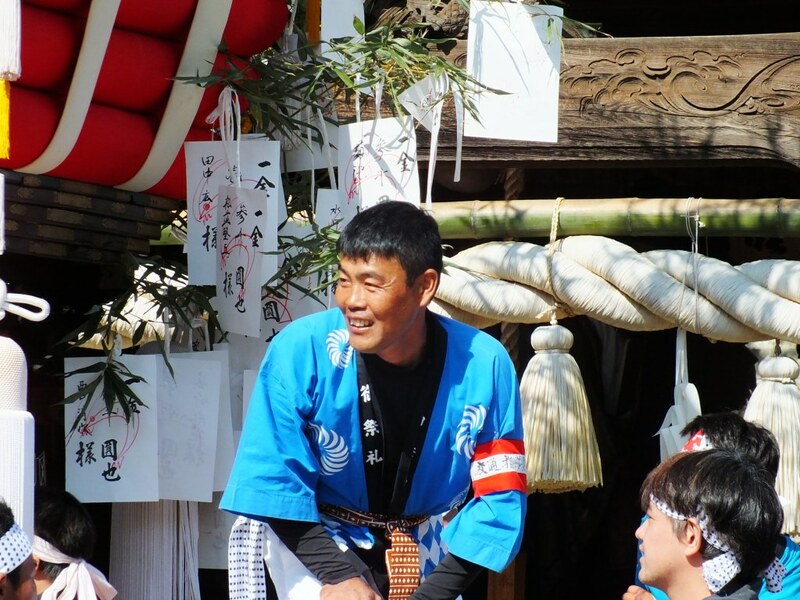 They will make you feel welcome, they will include you. 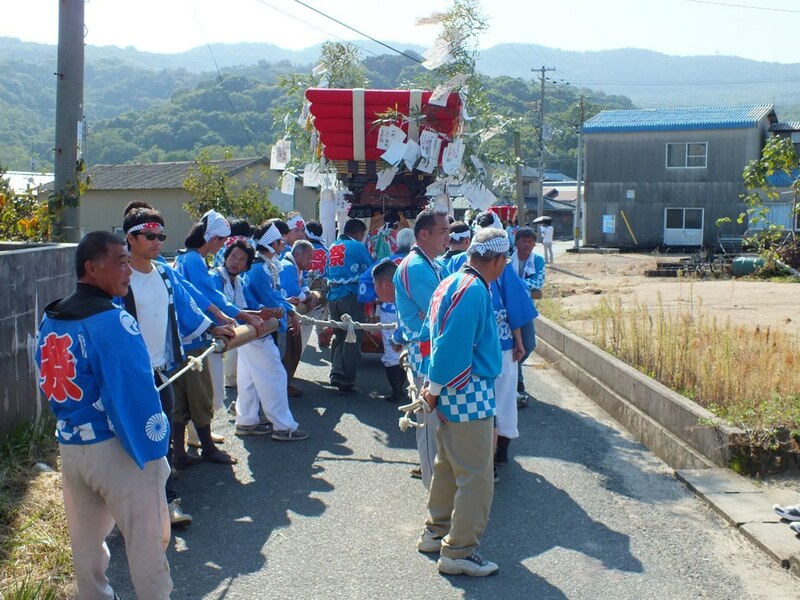 Just like in many other places in rural Japan, depopulation is bad, and one of its many consequences is that the matsuri are at risk to disappear. 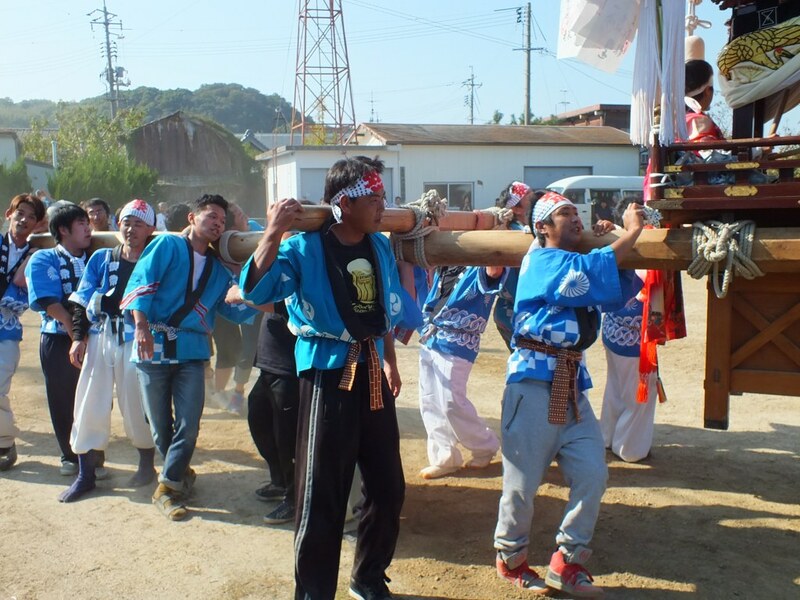 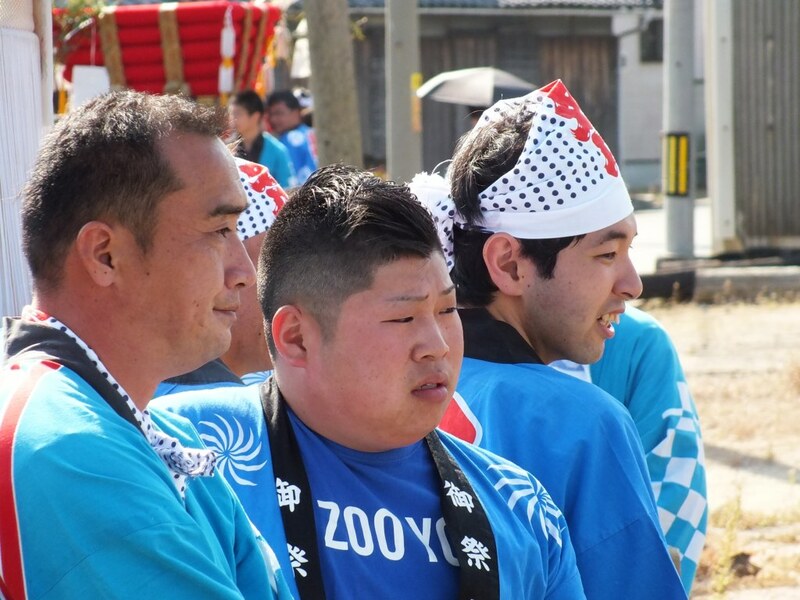 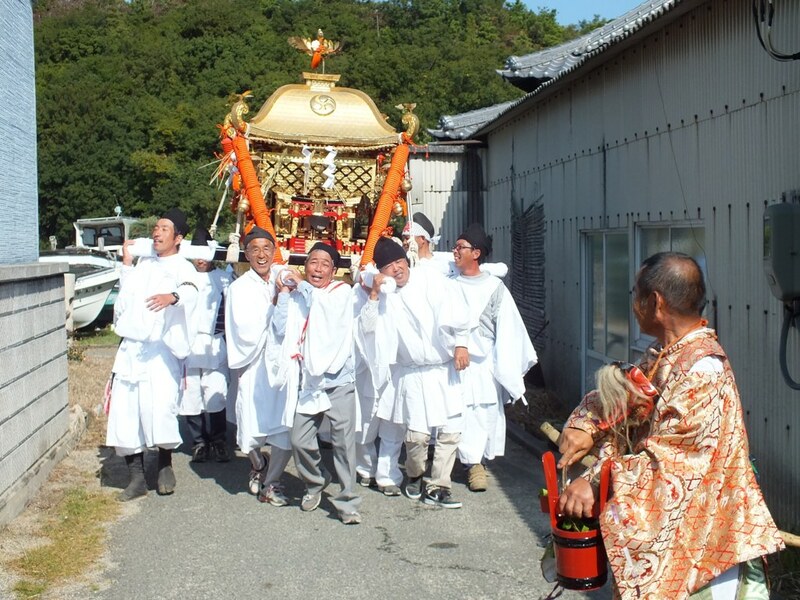 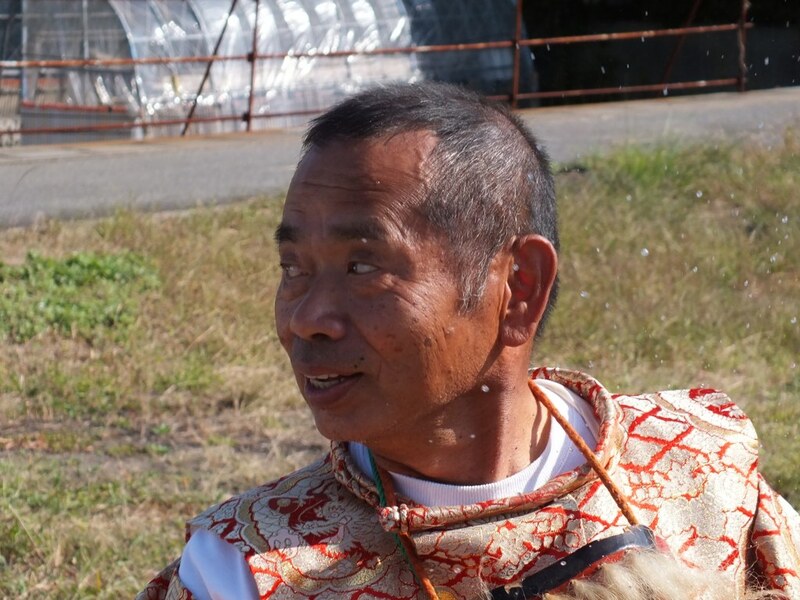 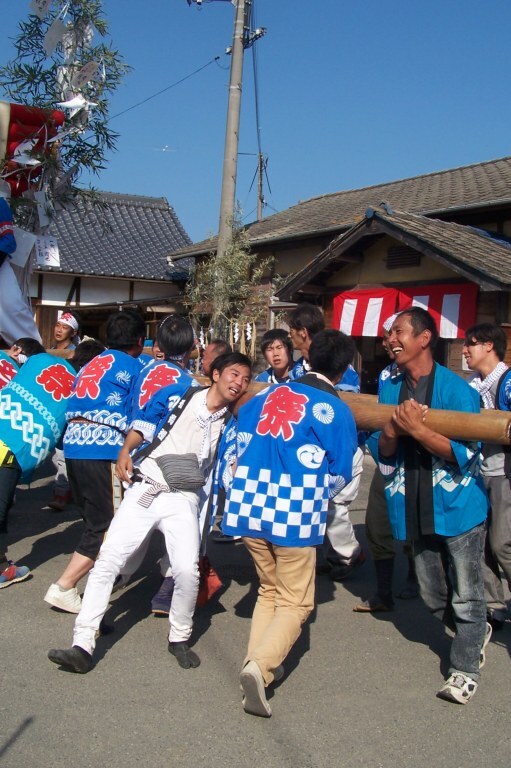 Every year, fewer and fewer people are here to carry the taikodai, and most of them don’t live on the island, they just have family or friends there. 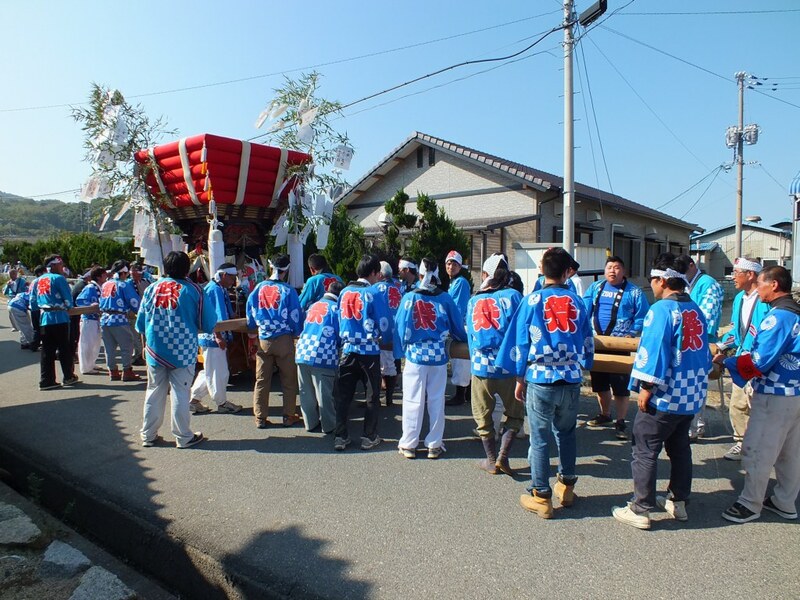 So, they’re quite grateful that you care about their tradition… And more simply, the people of Karato are just nice and easy going people. 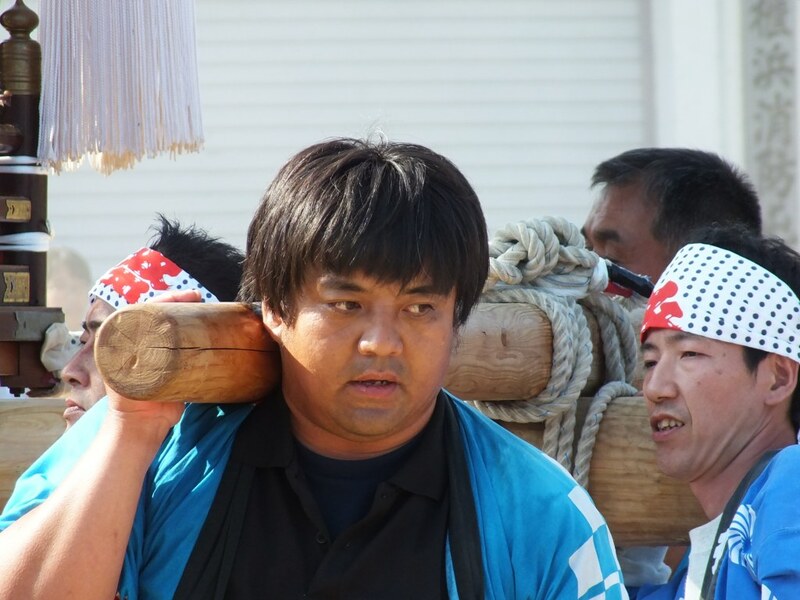 After two years, I’ll see how things have changed. 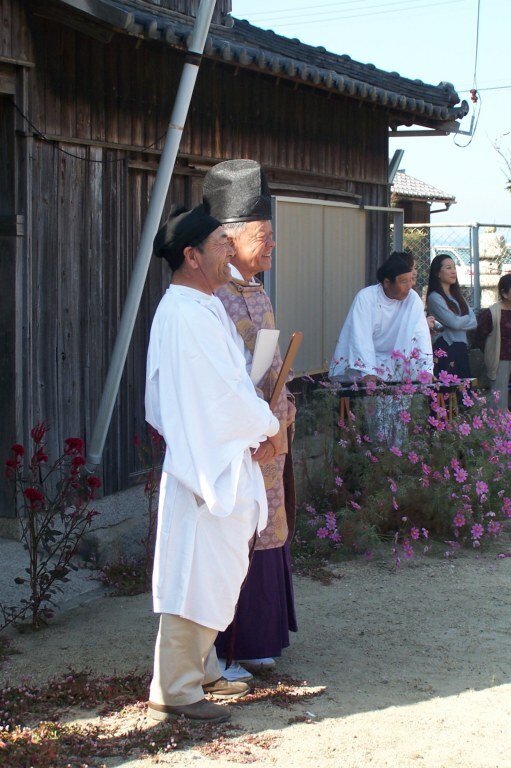 On the one hand, Teshima is privileged nowadays, as Benesse Art is attracting more and more visitors (and some businesses – mostly tourist oriented – have popped up on the island recently), on the other hand, I’m not sure this has had any effect on the traditional life of the island and the things not related to Art Setouchi. 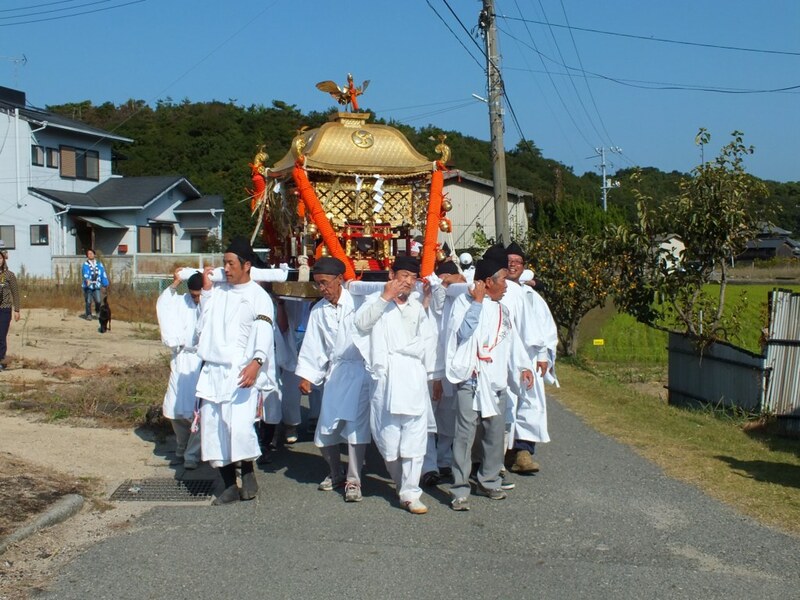 Oh and if you’re planning on visiting Teshima late October, may I advise you to pick October 21st as the date and to include the matsuri in your travel plans (it usually takes place between 11am and 2pm).